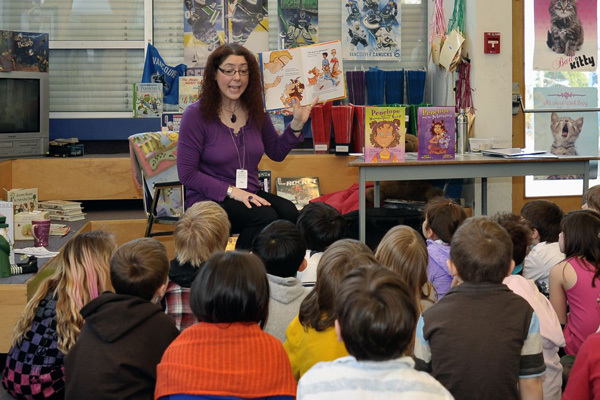 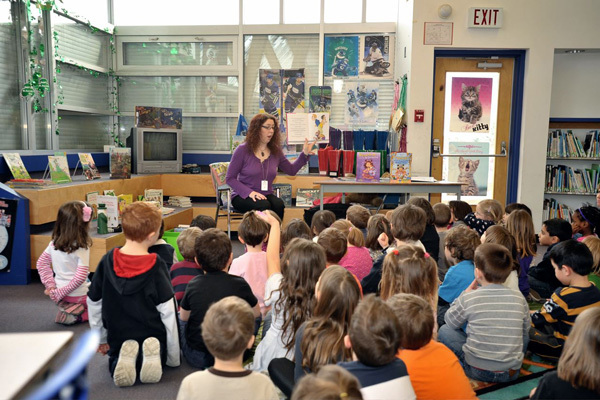 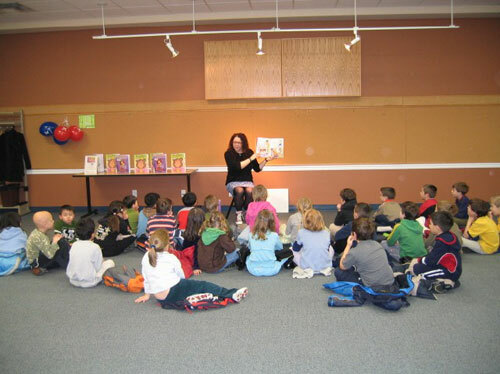 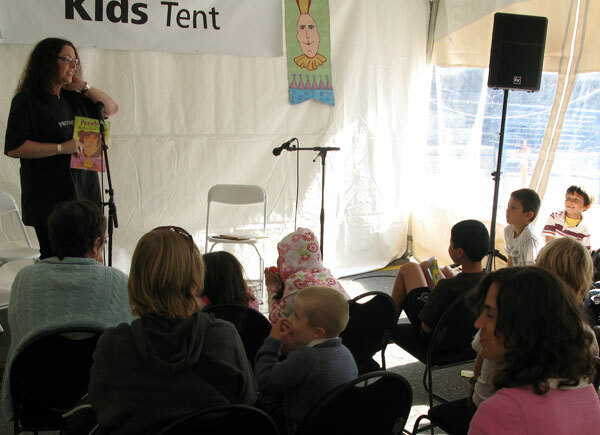 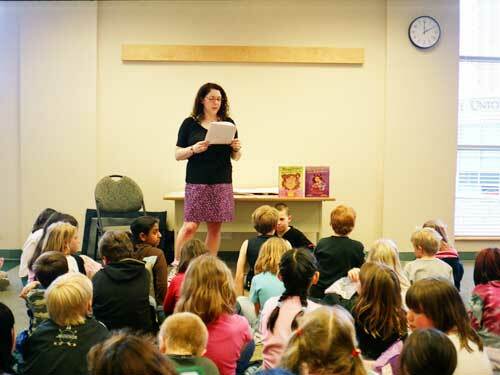 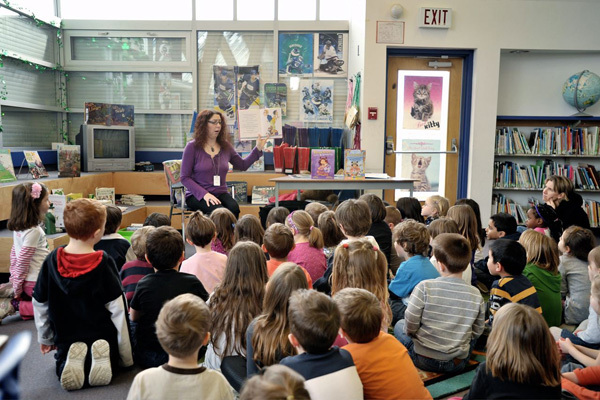 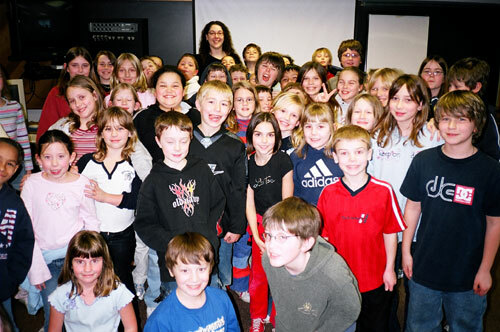 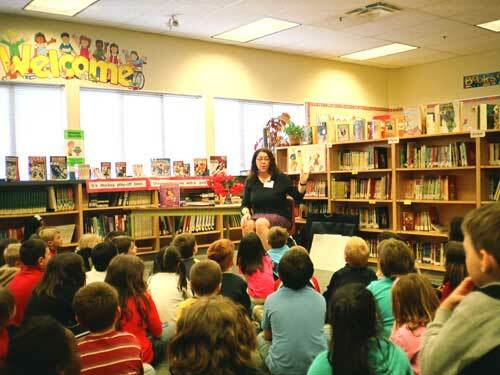 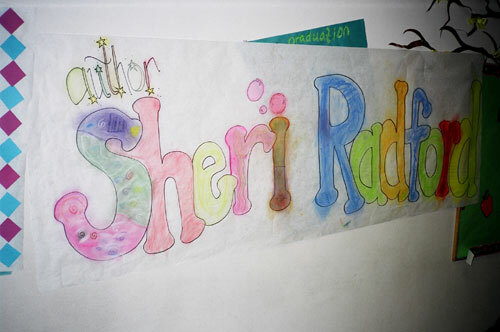 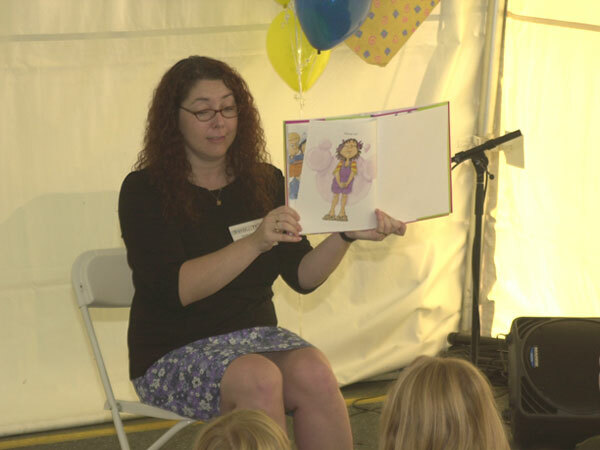 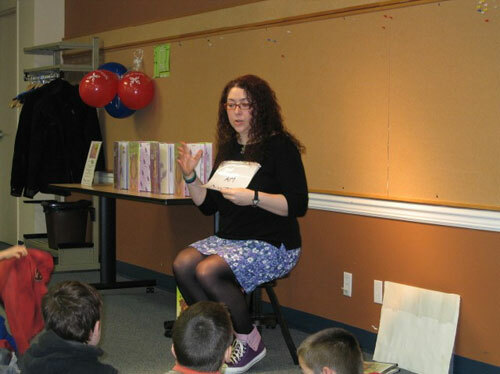 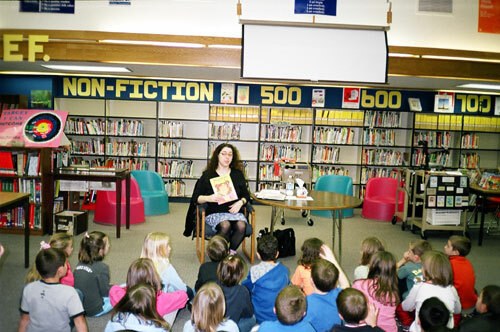 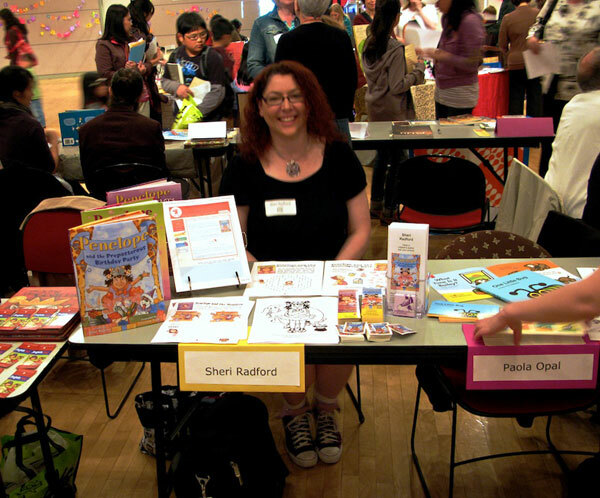 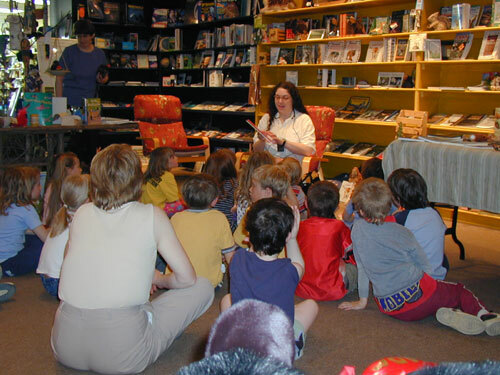 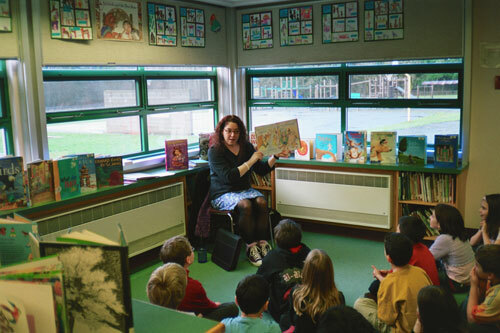 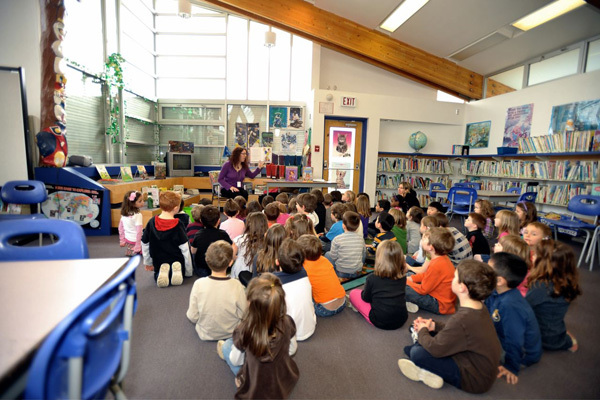 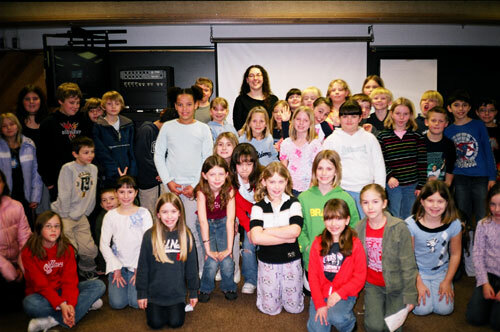 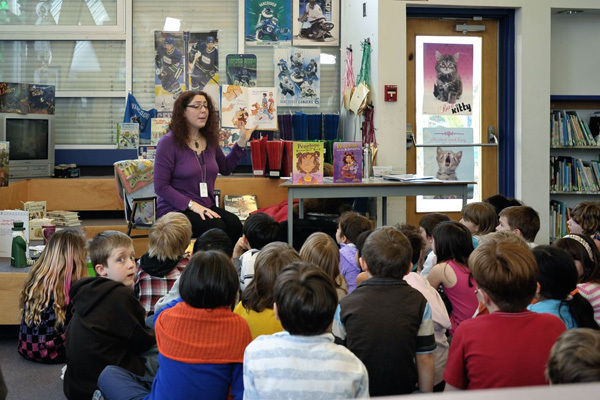 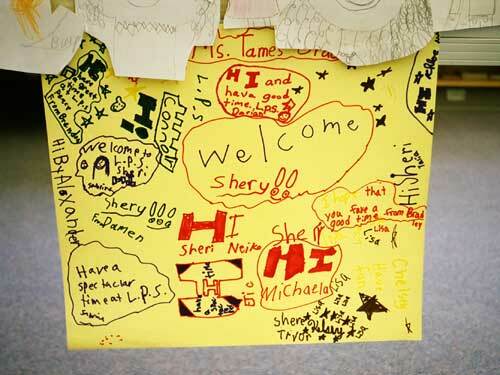 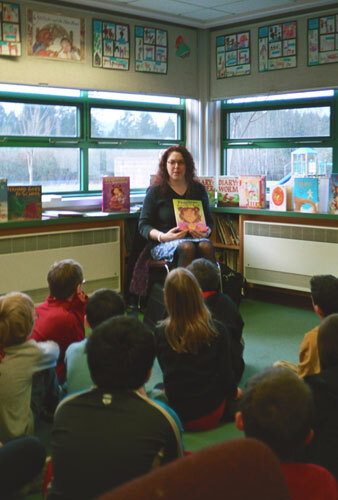 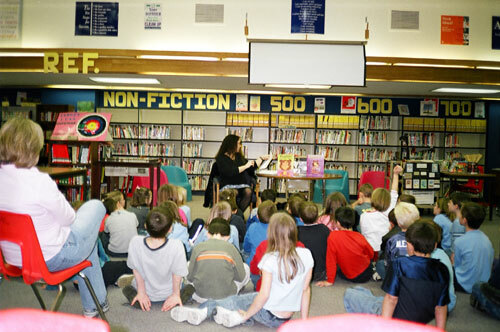 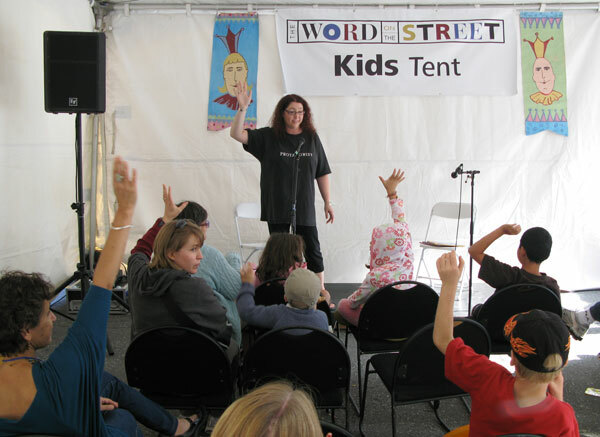 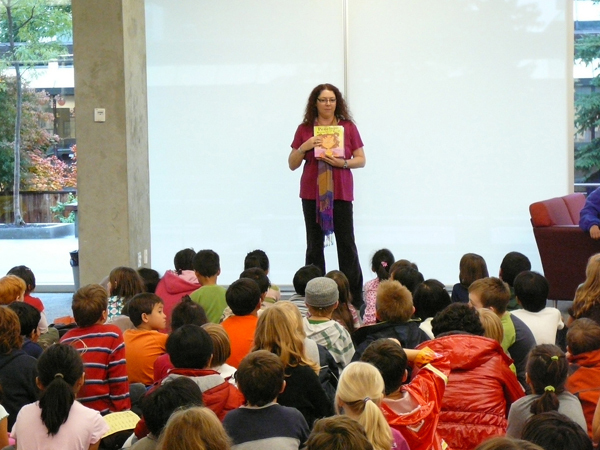 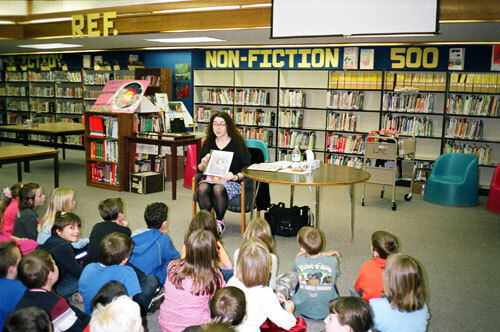 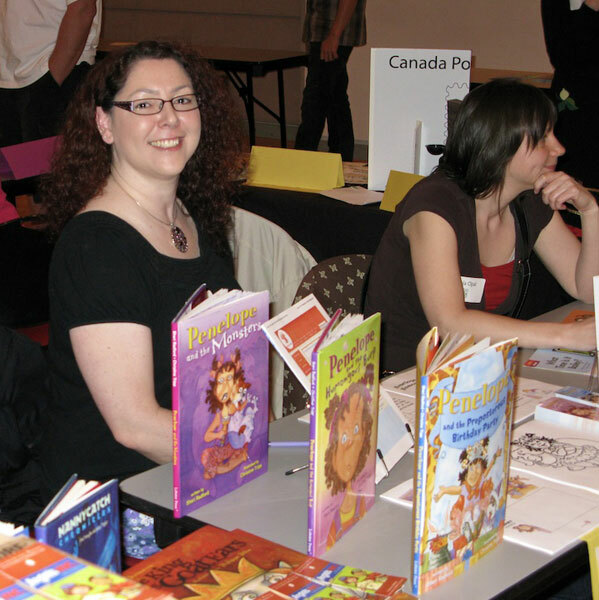 A member of SCBWI, CANSCAIP, and CWILL BC (which provides some very useful info about school visits), Sheri is available for readings, talks, panel discussions, school or library visits, and media interviews. 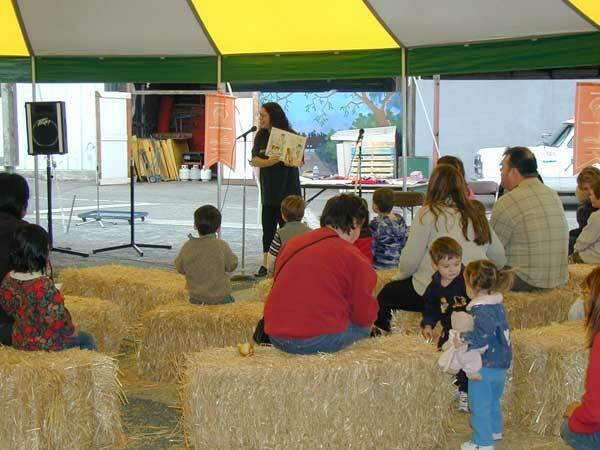 Would you like to arrange an event, too? 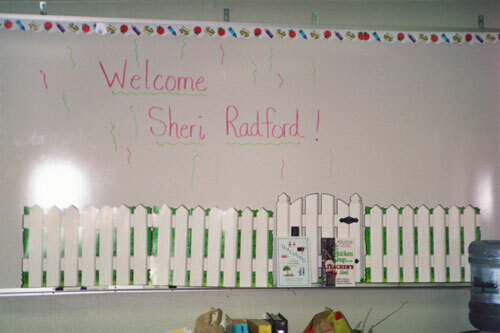 Contact Sheri for more information. 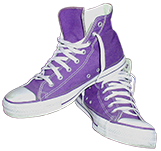 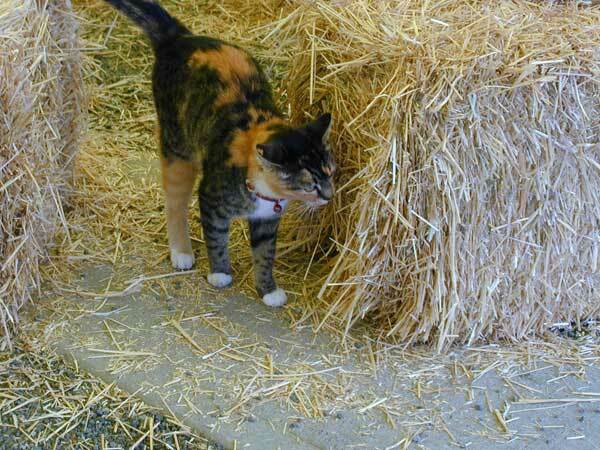 There might be funding available in your area to help offset the cost. 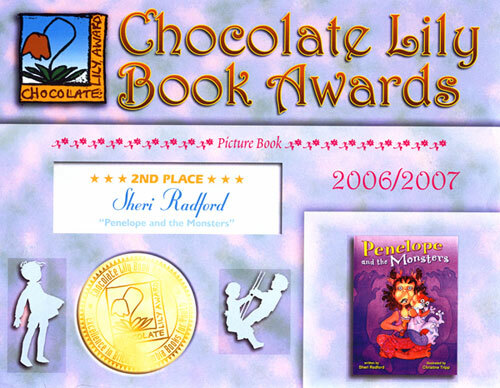 To download Sheri’s brochure, click here. 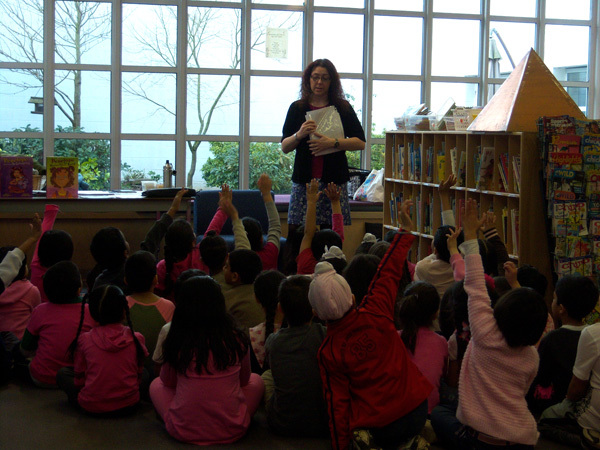 Check out all the different pink t-shirts for Pink Shirt Anti-Bullying Day. 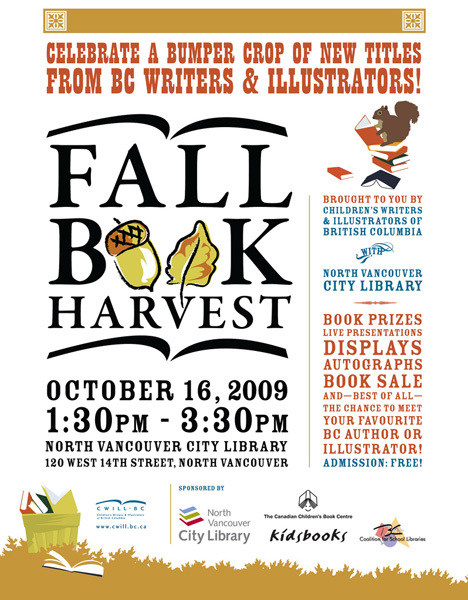 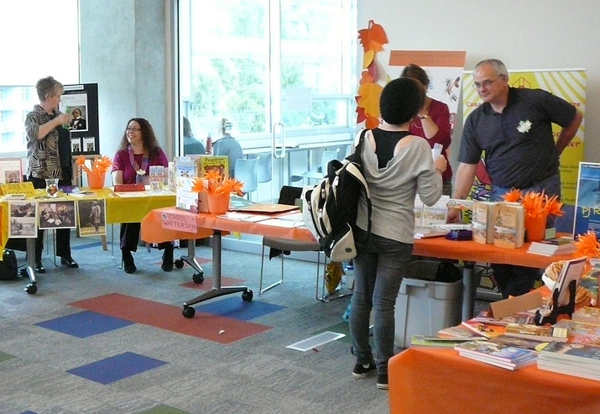 Sheri took part in the Children’s Writers and Illustrators of BC’s Fall Book Harvest at the North Vancouver City Library, in which dozens of writers and illustrators launched their new books, gave away goodies, and held draws for free author/illustrator visits to local schools. 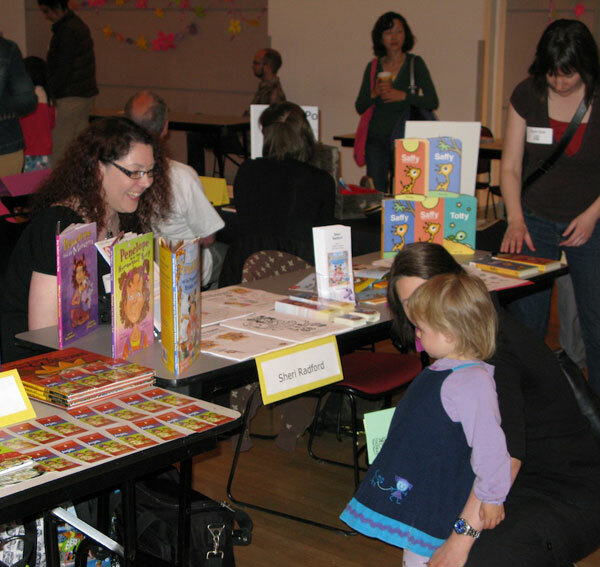 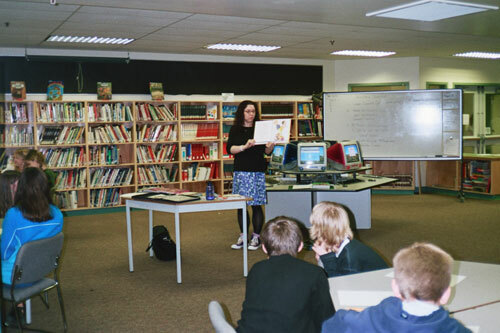 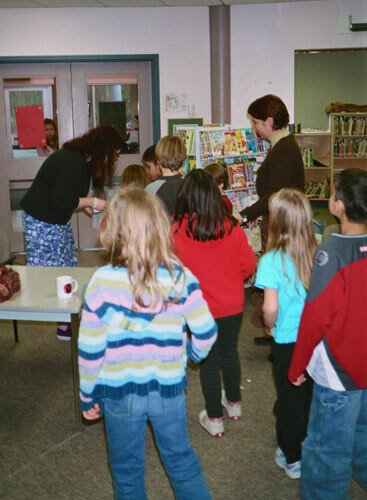 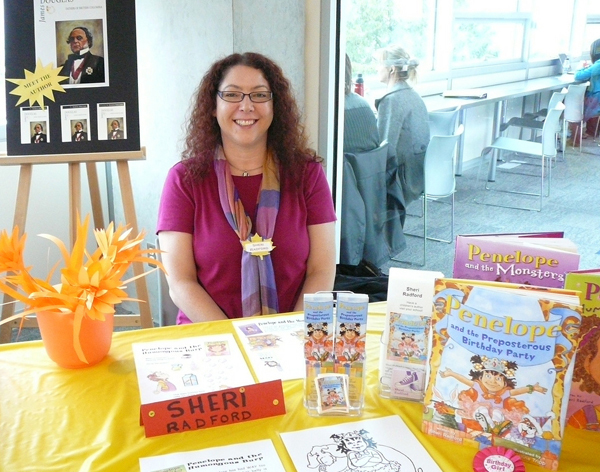 Sheri took part in the Children’s Writers and Illustrators of BC’s Spring Book Hatching at the Vancouver Public Library, in which more than 30 writers and illustrators launched their new books, gave away goodies, and held draws for two author/illustrator visits to local schools. 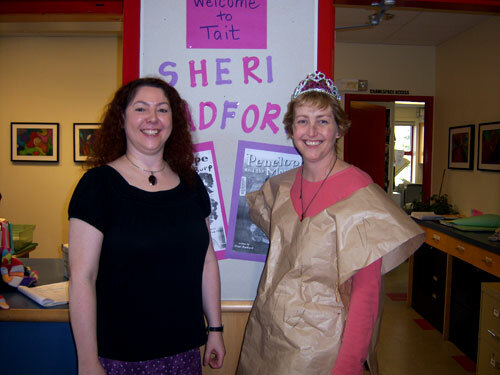 Sheri was delighted to see that all of the teachers and most of the students were dressed as their favourite literary characters for Literacy Day. 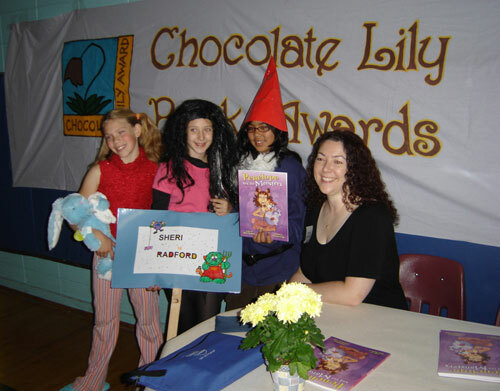 More than one Penelope was spotted, as well as a few Paper Bag Princesses. 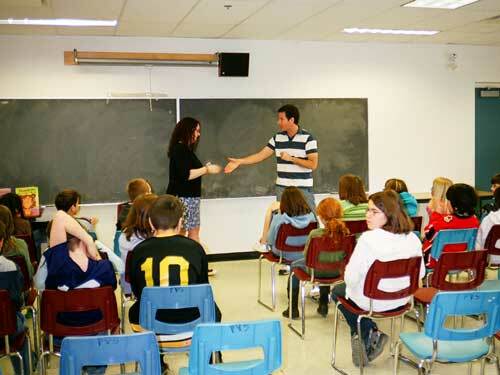 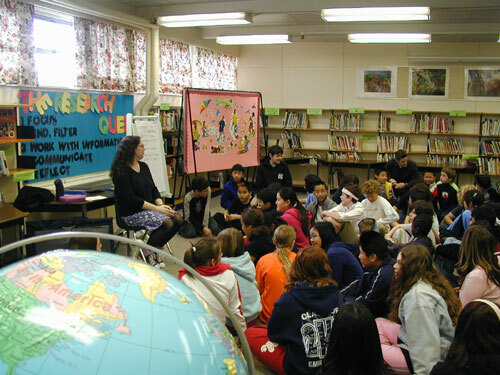 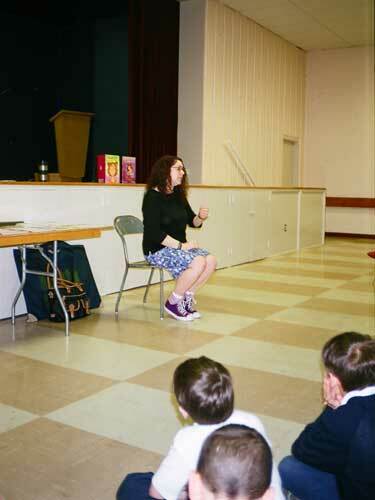 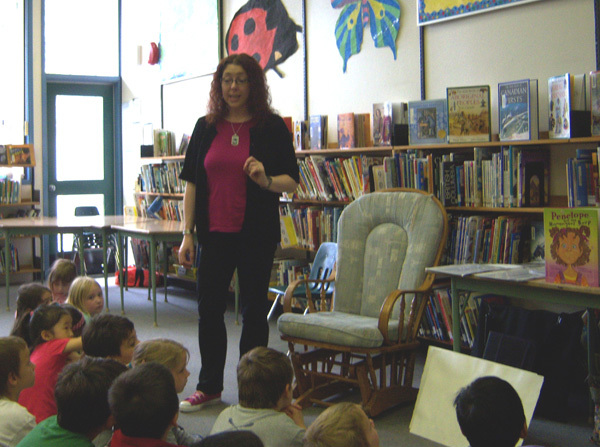 Sheri spoke to a group a secondary students ranging from grade nine to twelve. 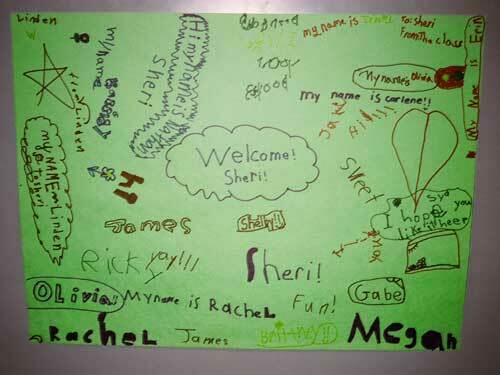 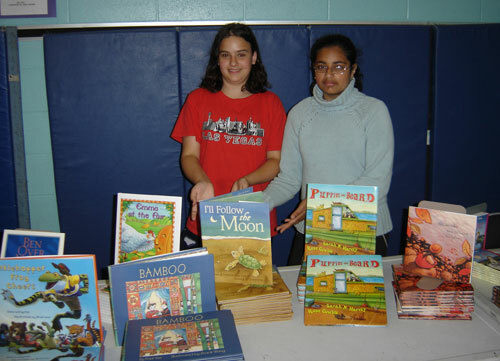 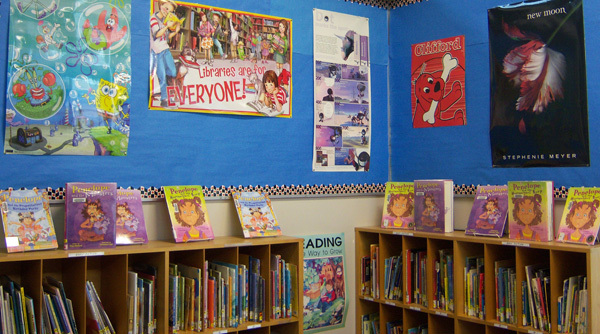 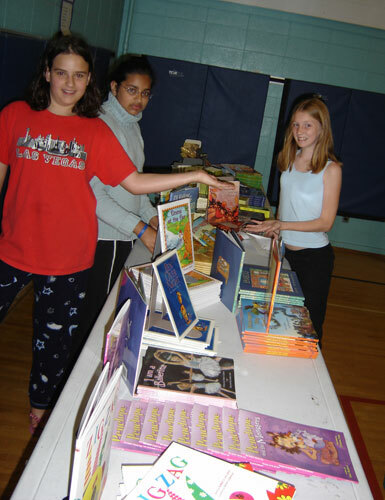 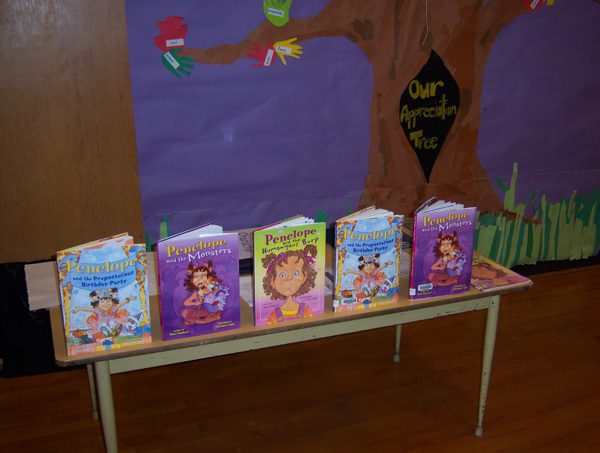 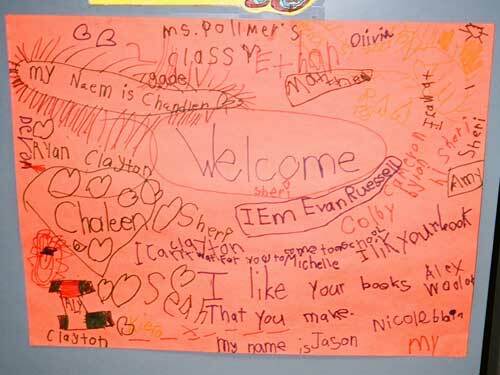 The students were especially excited to discuss their favourite books and authors. 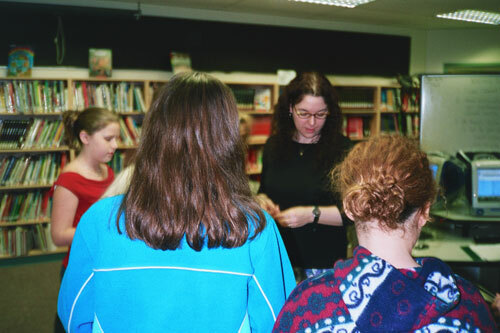 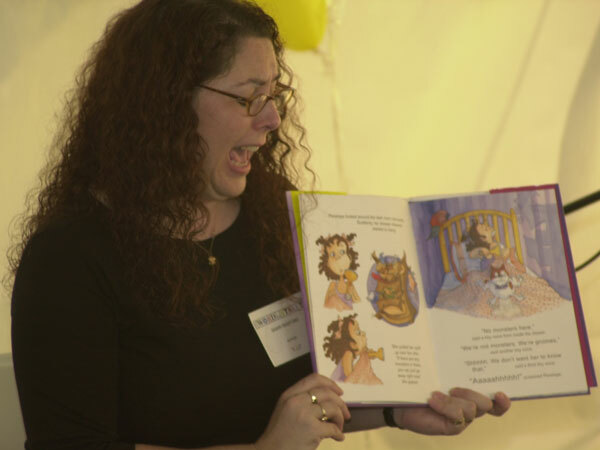 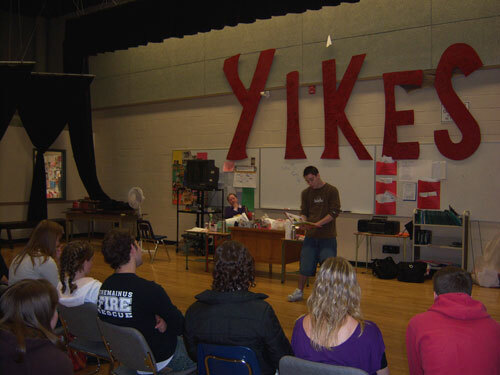 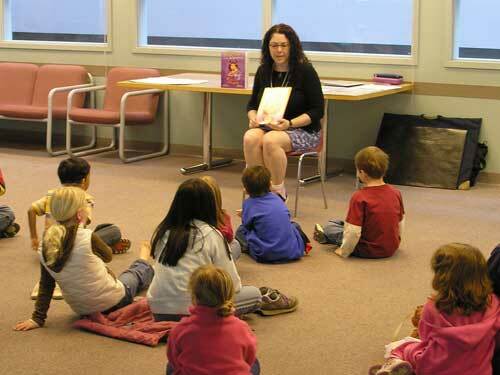 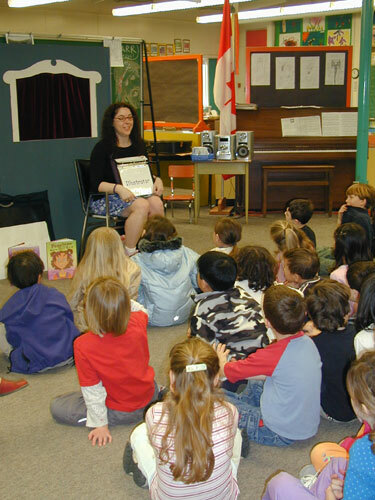 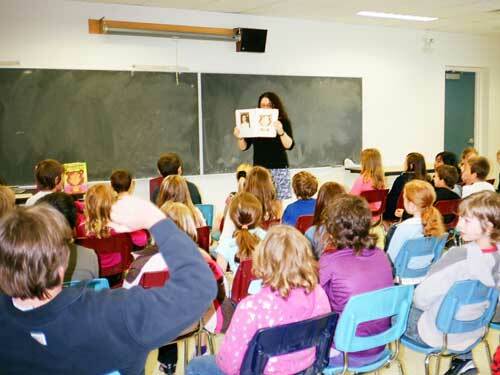 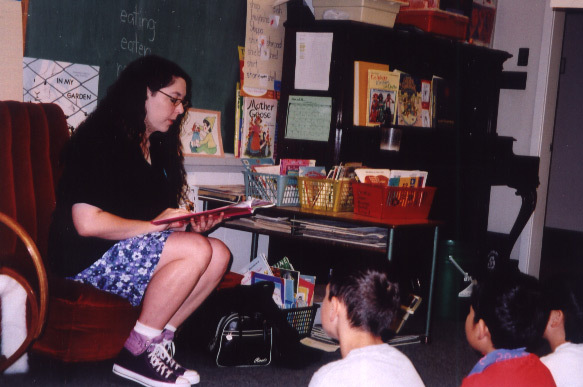 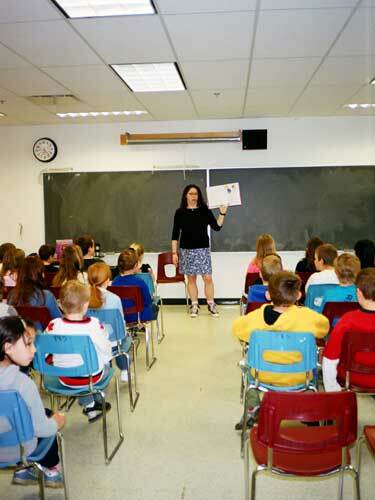 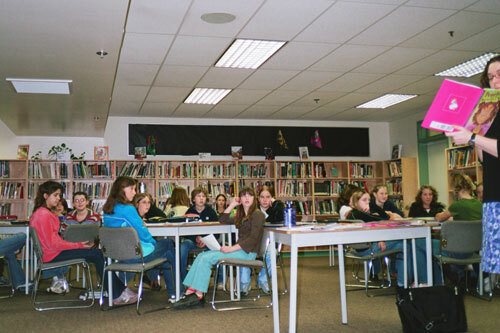 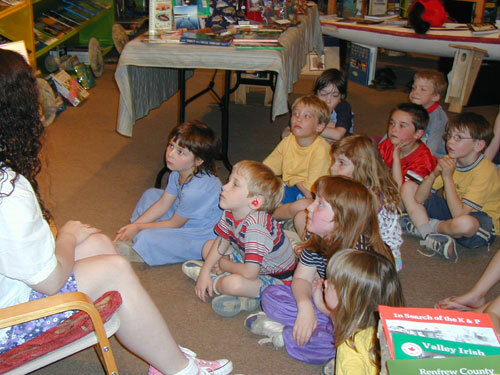 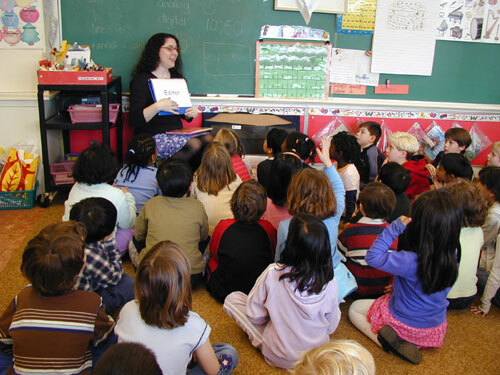 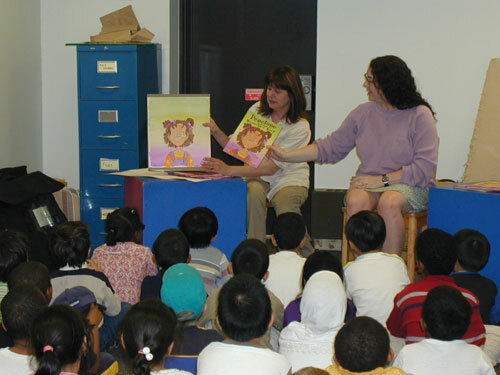 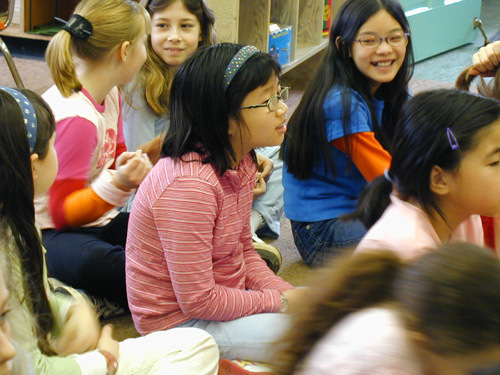 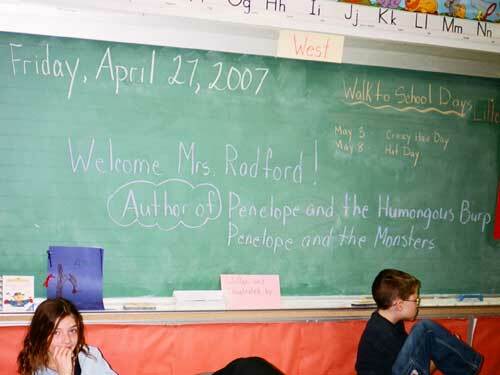 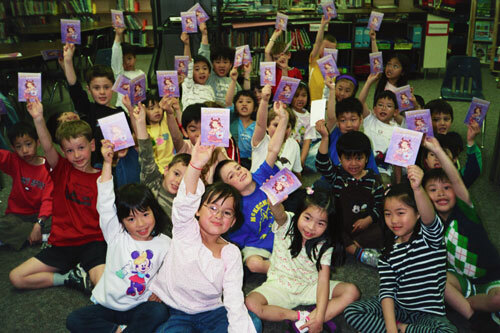 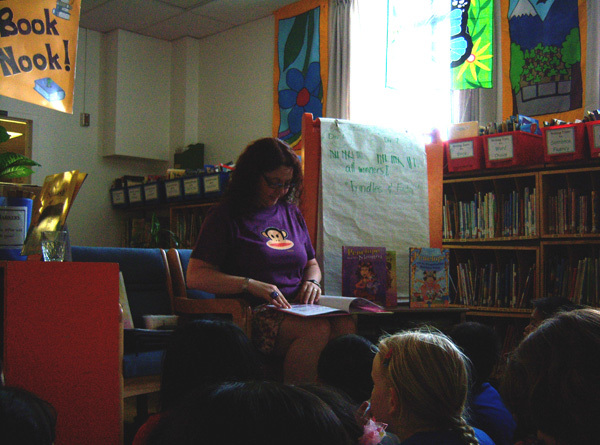 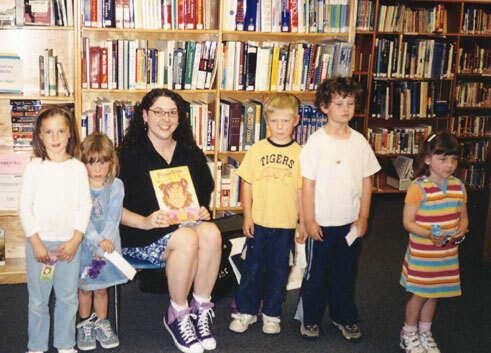 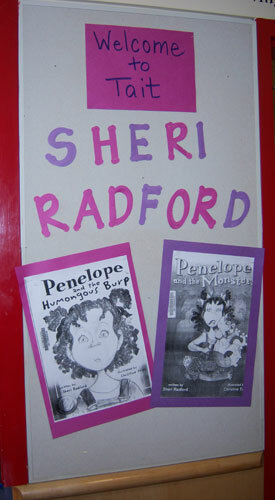 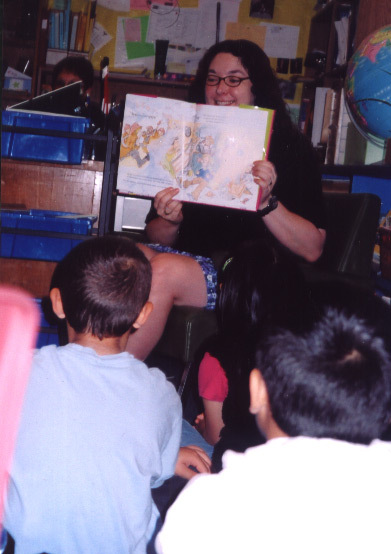 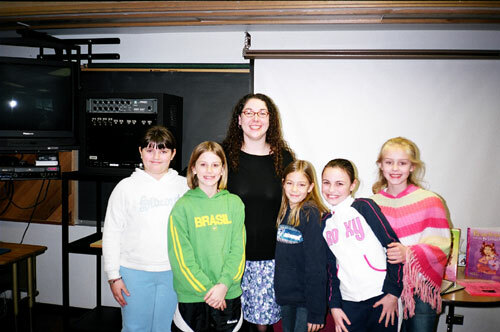 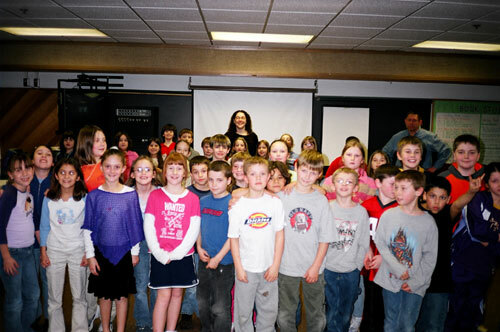 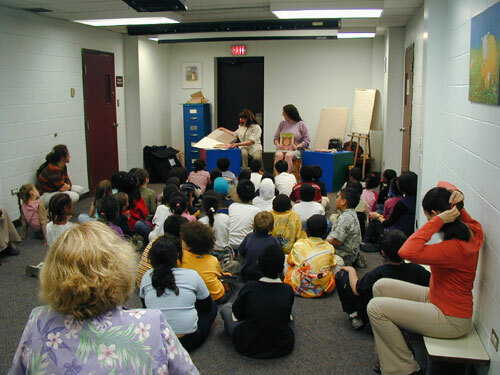 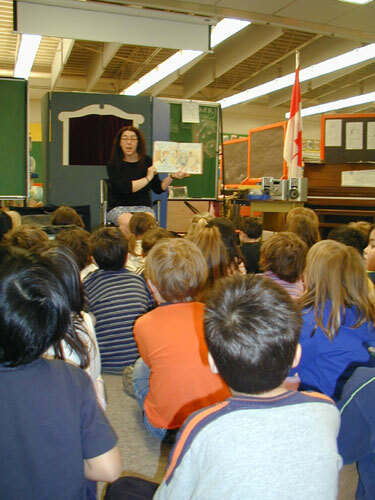 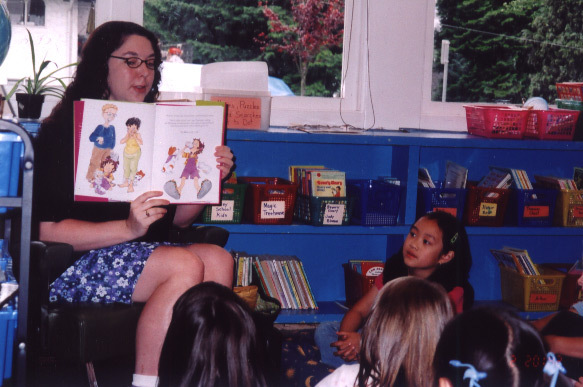 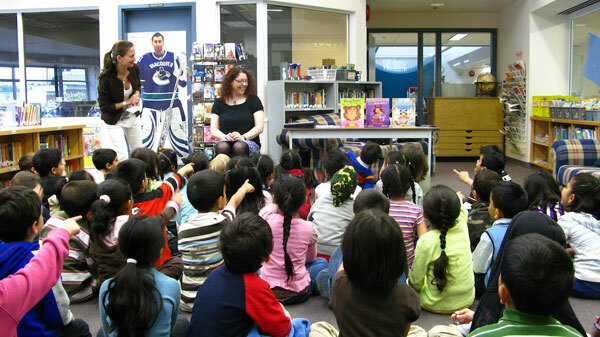 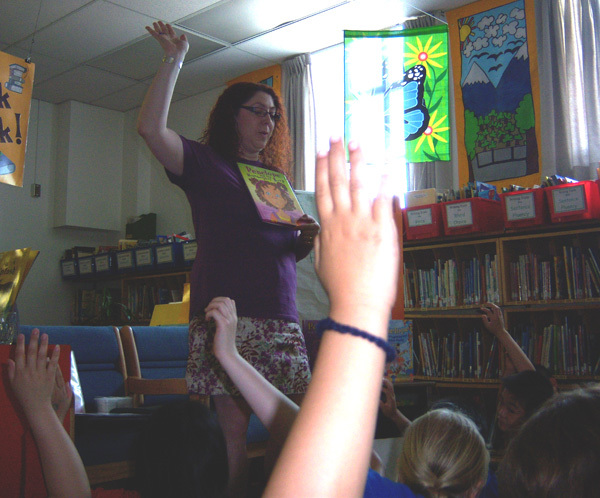 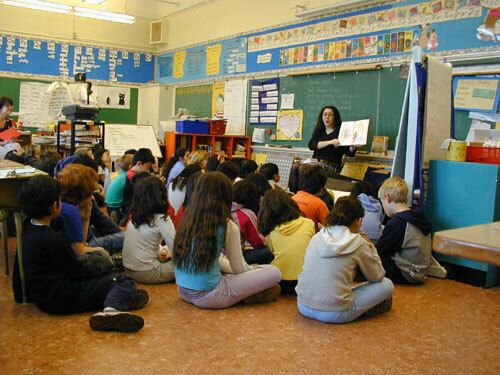 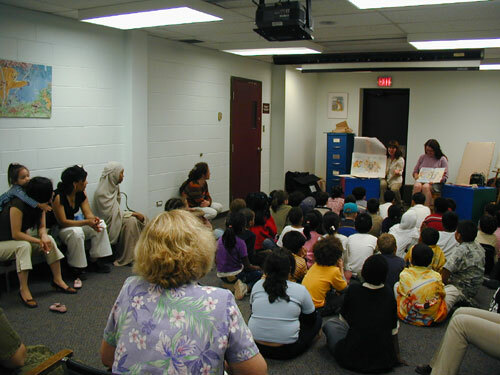 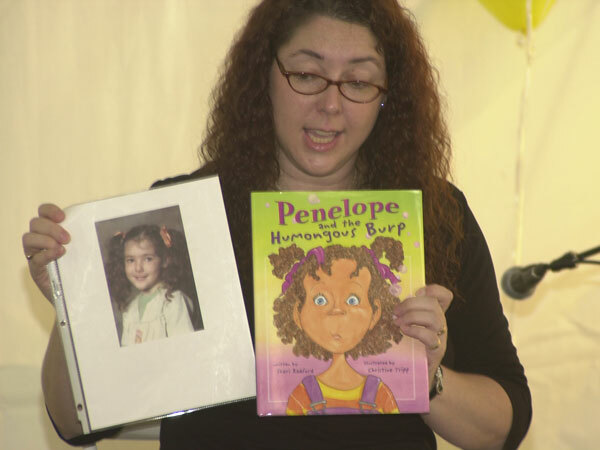 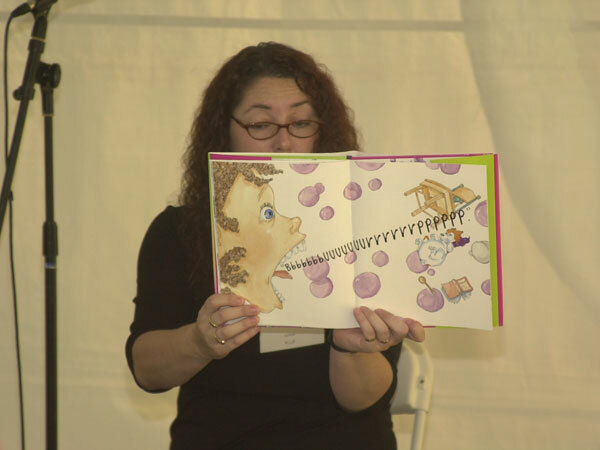 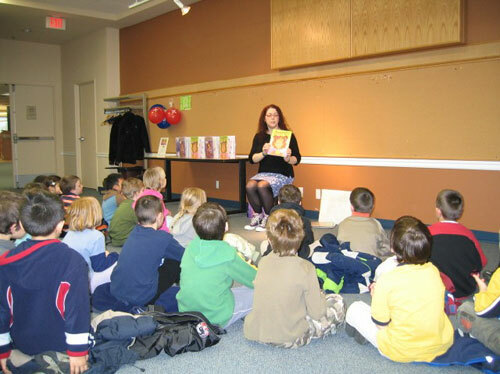 Sheri was delighted when one of the students insisted on reading Penelope and the Humongous Burp out loud to the group. 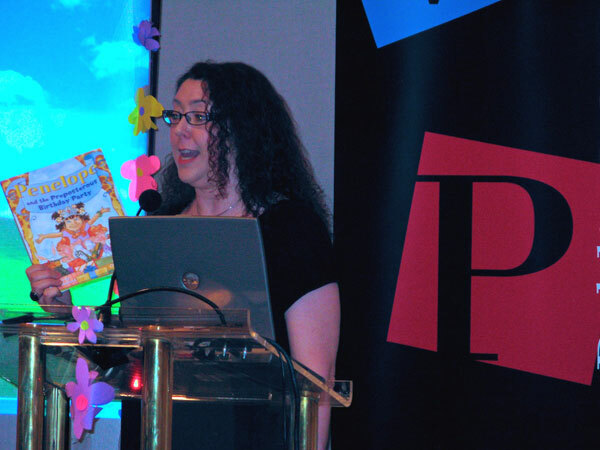 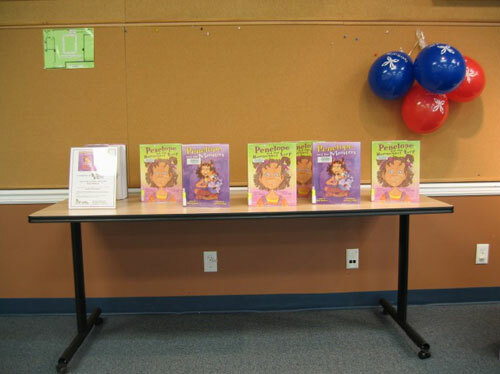 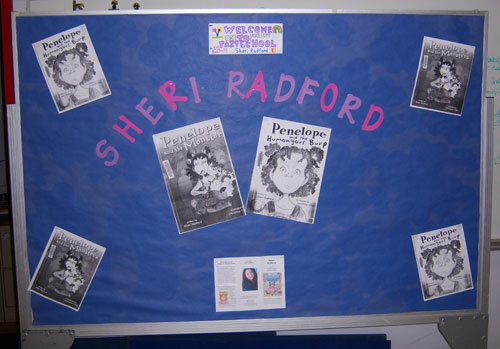 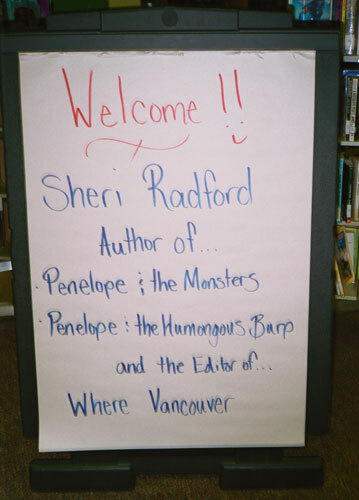 Sheri attended the awards gala at Bear Creek Elementary School, where her book Penelope and the Monsters won second prize in the picture book category. 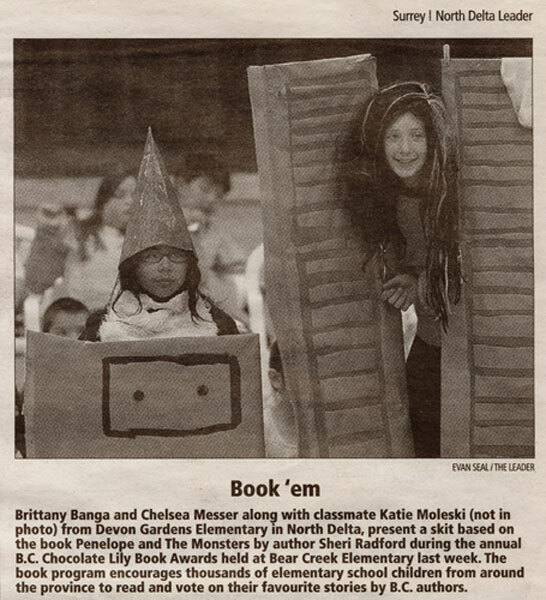 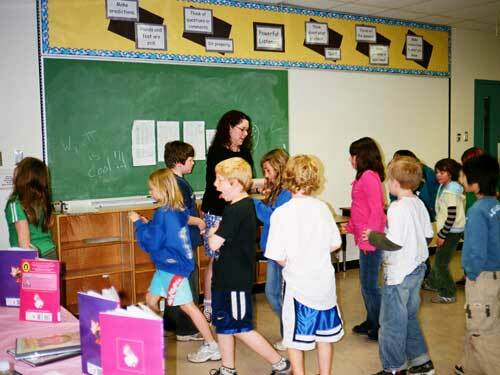 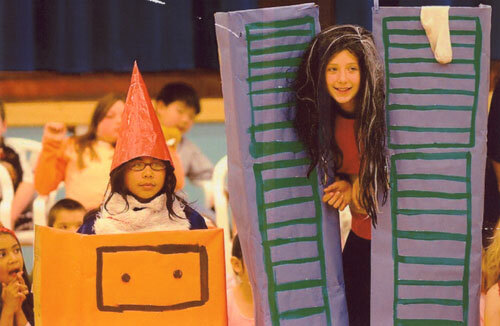 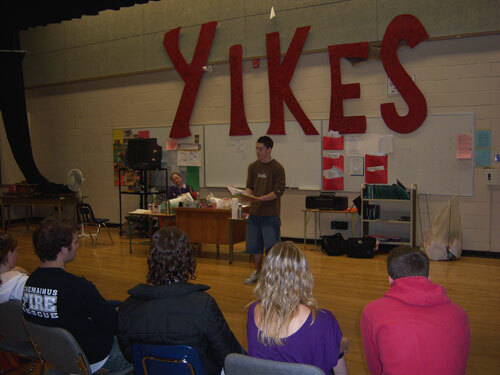 It was great fun to see students acting out the story, and the students’ photo ended up in the newspaper later. 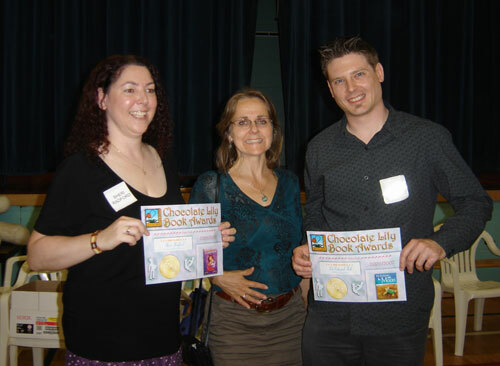 Lee Edward Fodi, illustrator of I’ll Follow the Moon, was also there for the festivities. 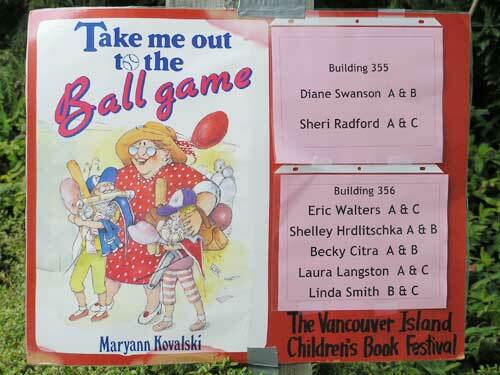 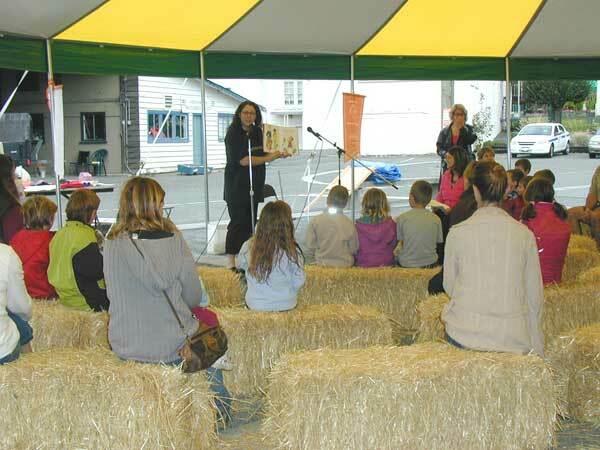 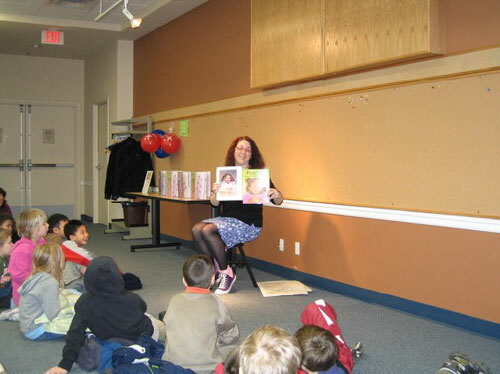 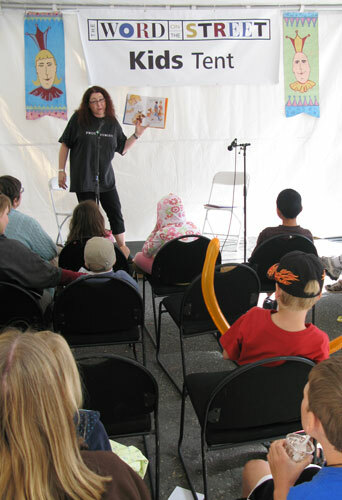 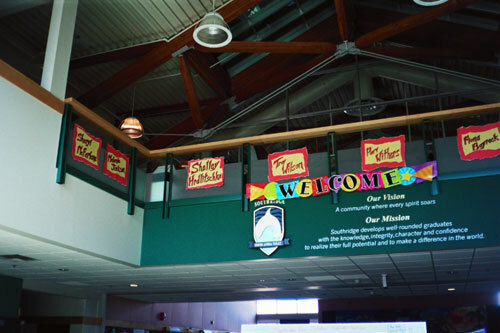 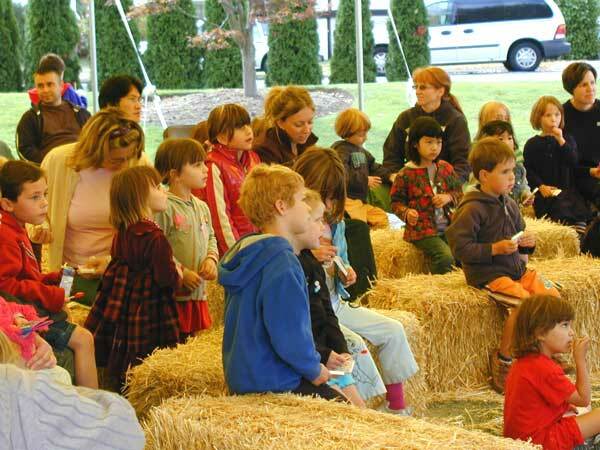 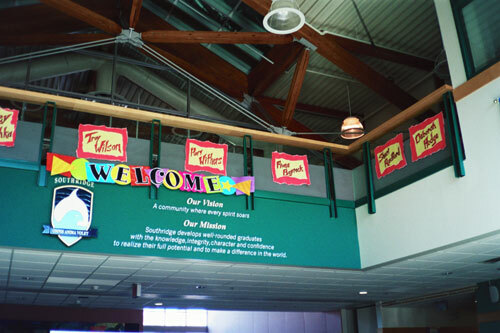 Sheri took part in Bookfest: The Vancouver Island Children’s Book Festival, an annual event held on the beautiful campus of Malaspina University College. 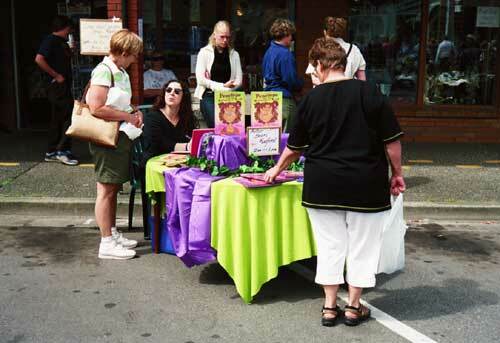 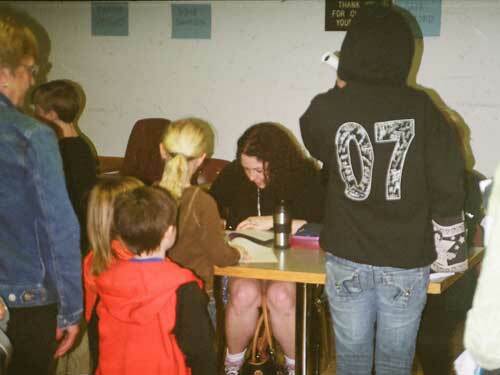 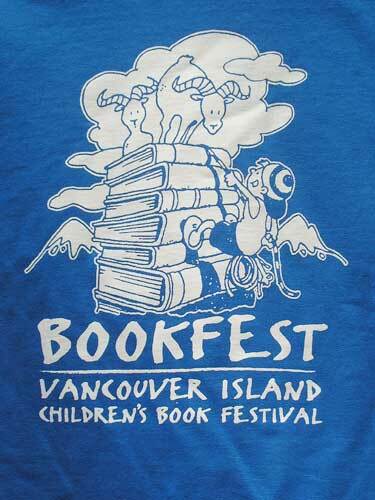 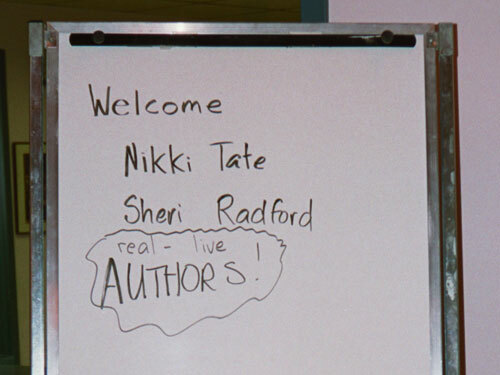 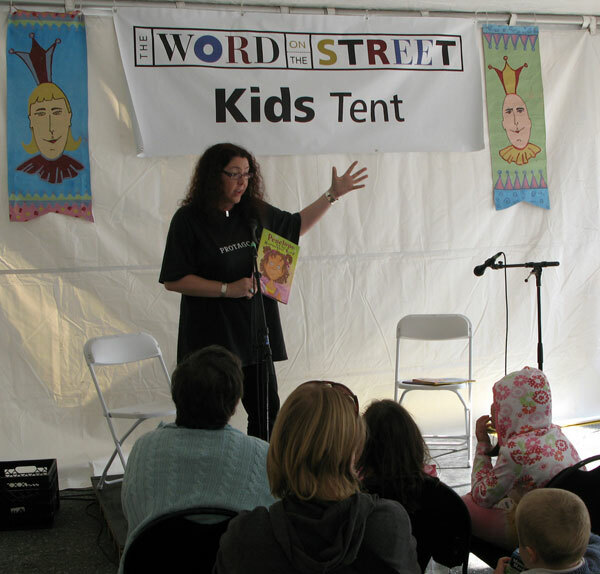 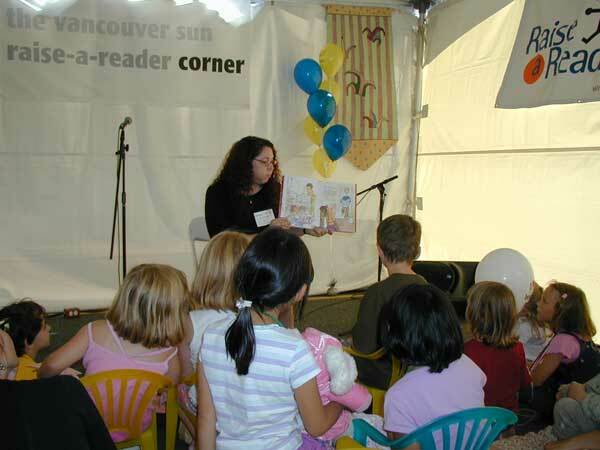 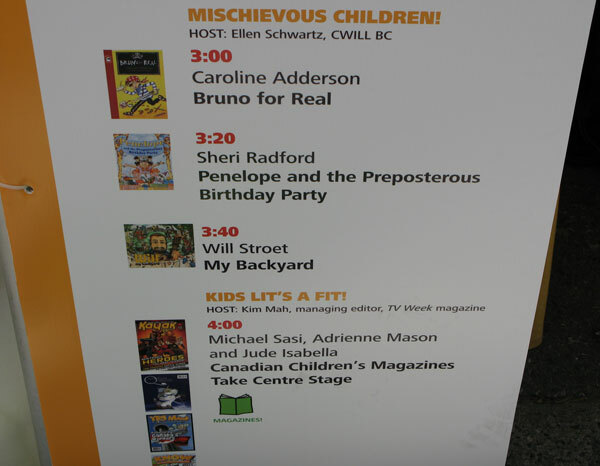 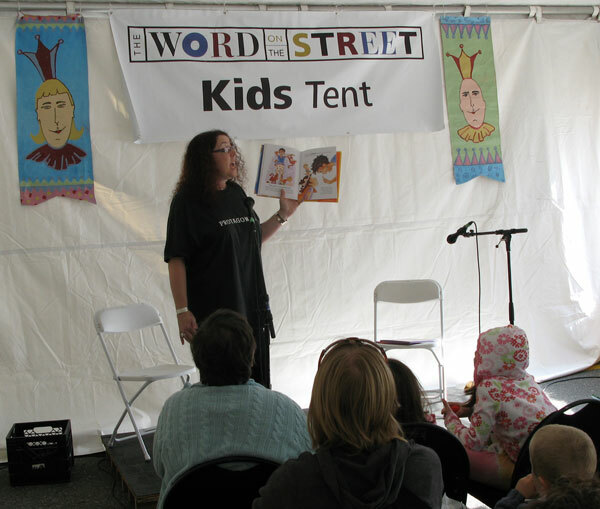 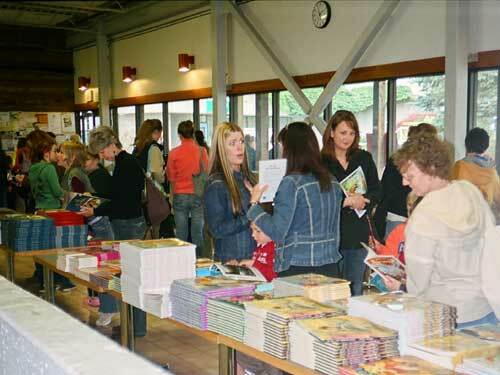 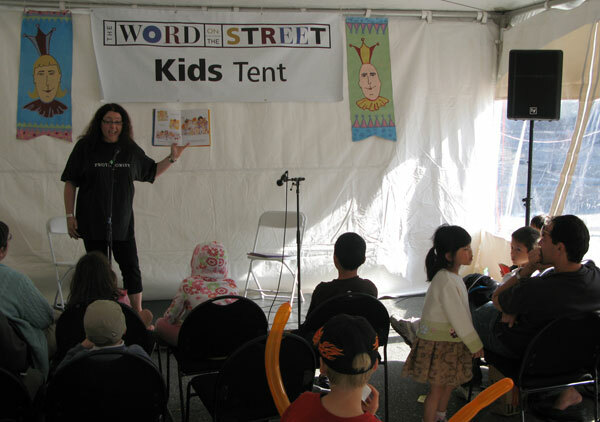 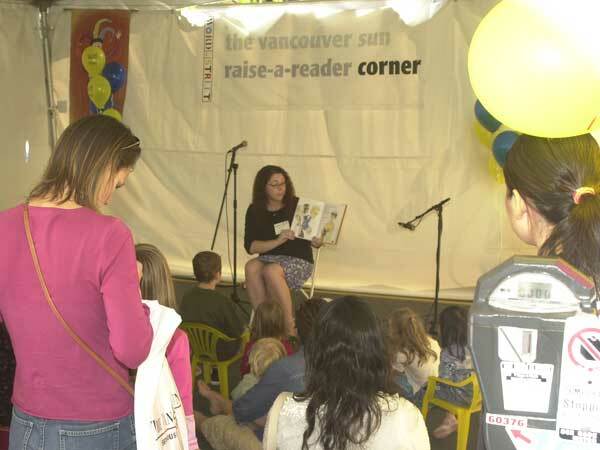 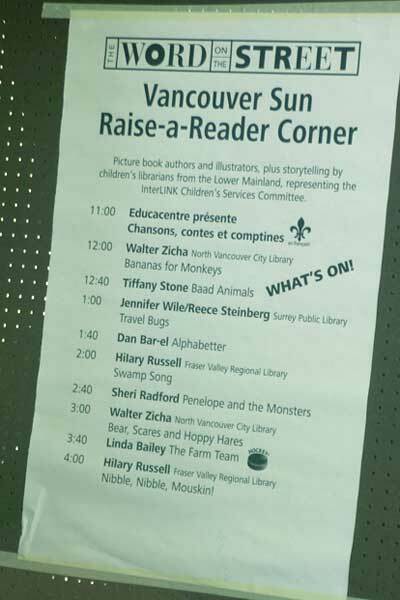 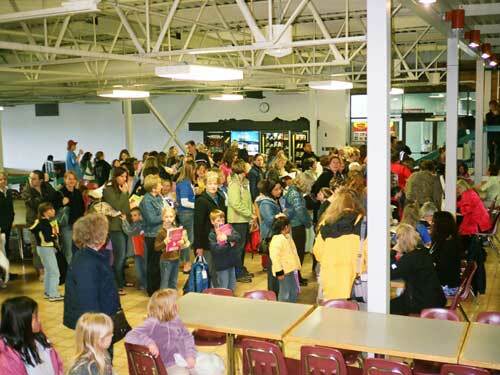 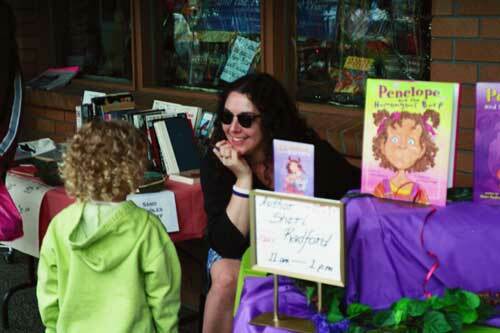 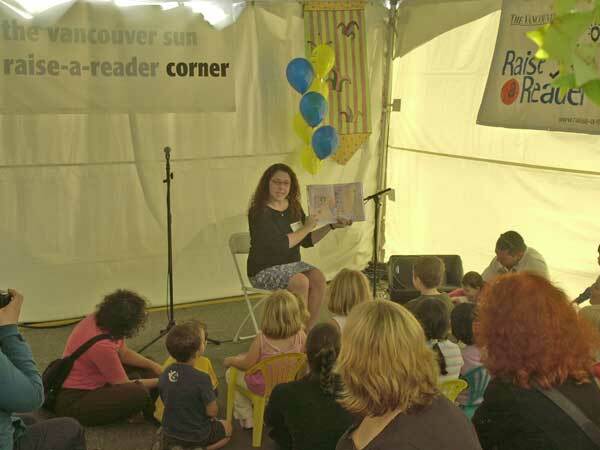 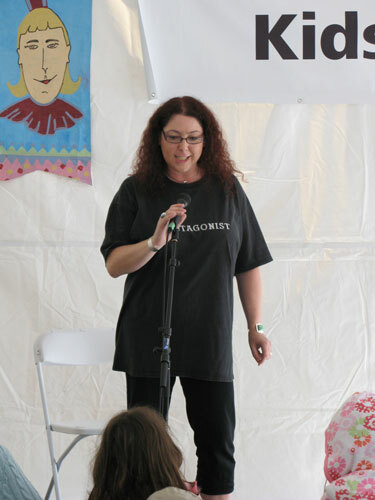 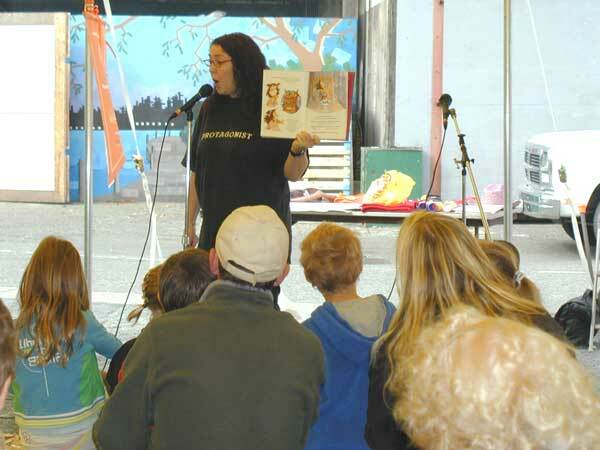 Sheri’s appearance at Bookfest was even mentioned on the Victoria news. 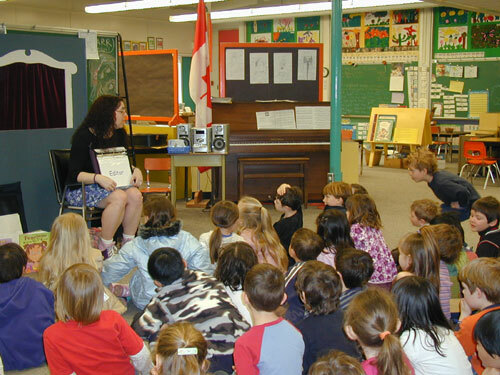 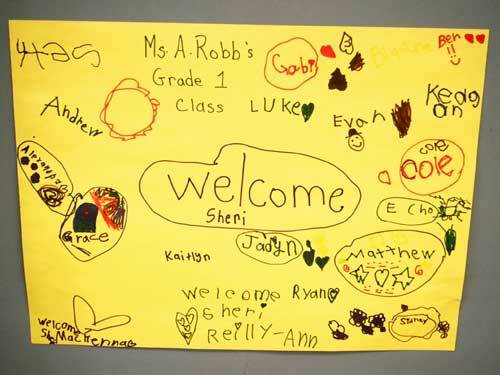 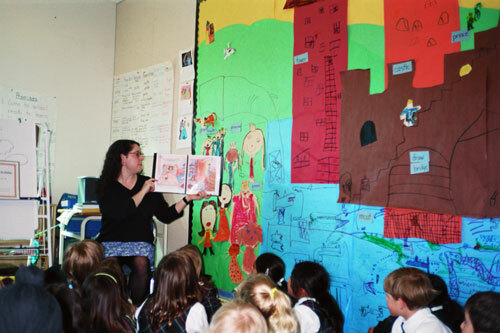 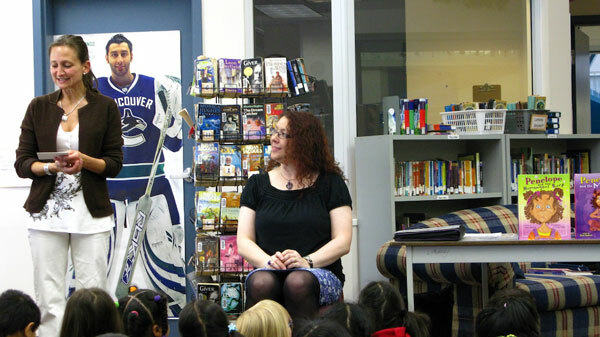 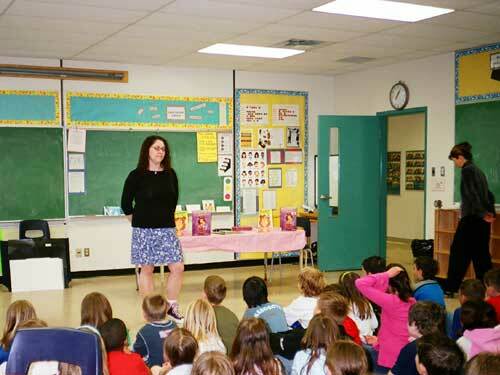 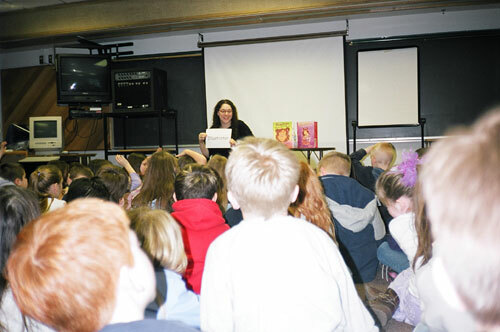 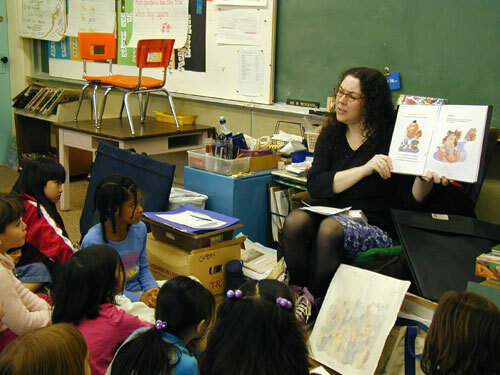 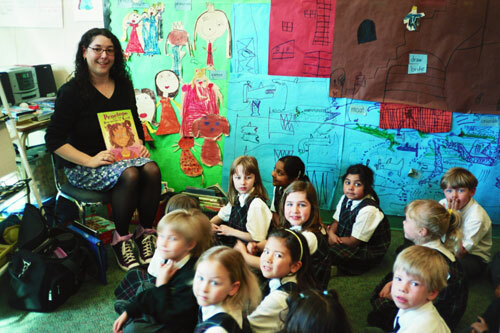 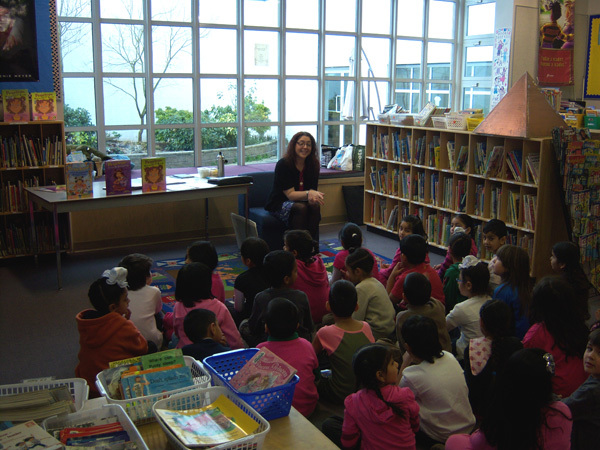 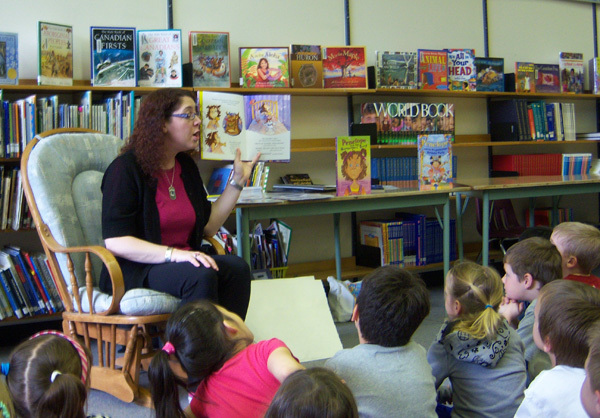 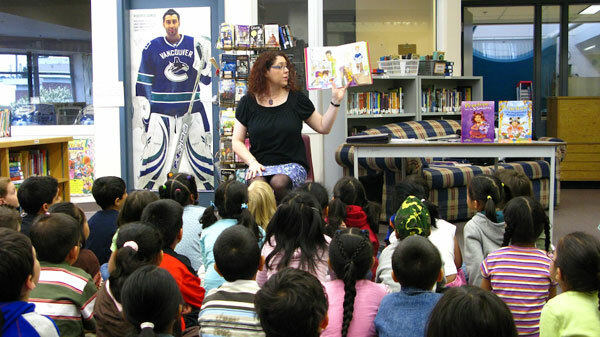 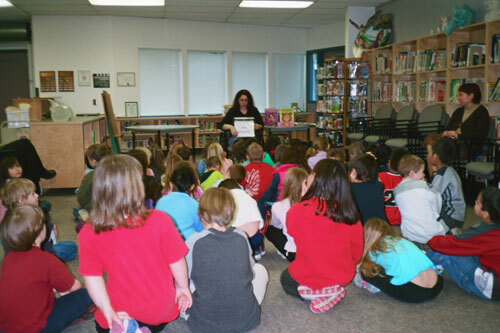 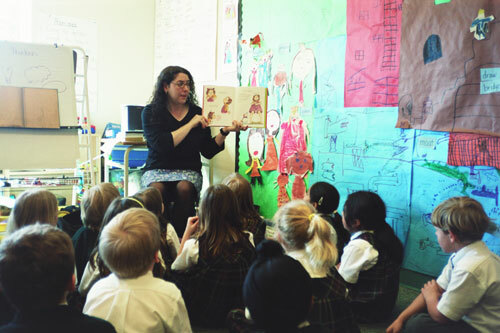 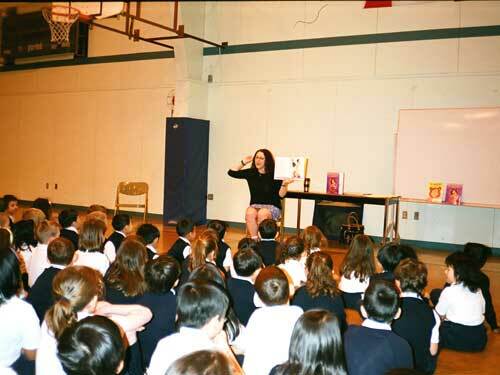 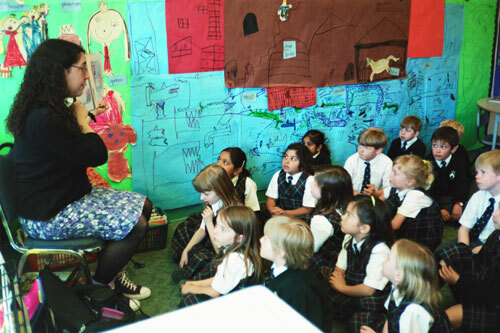 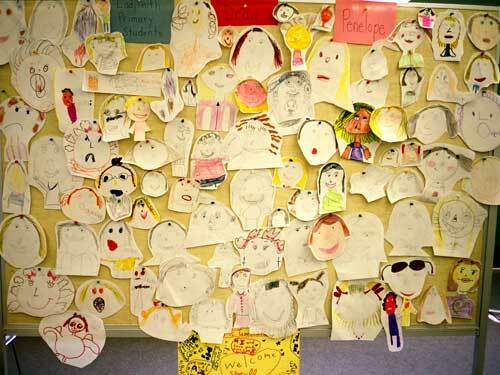 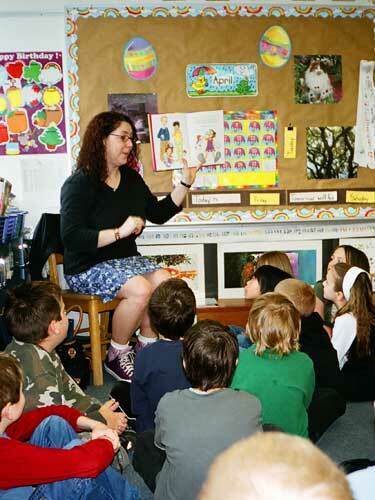 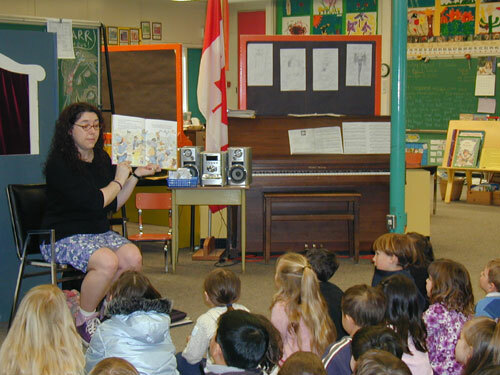 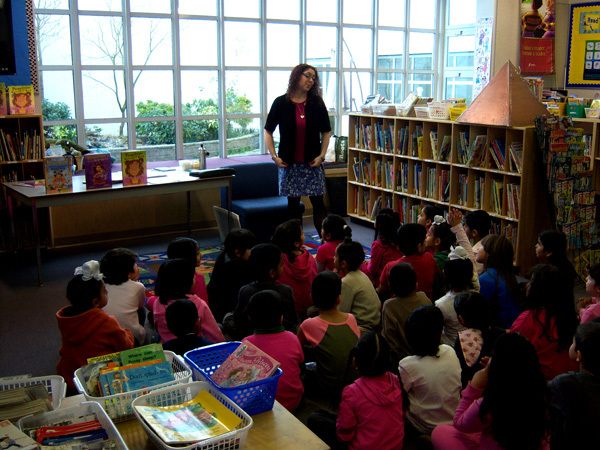 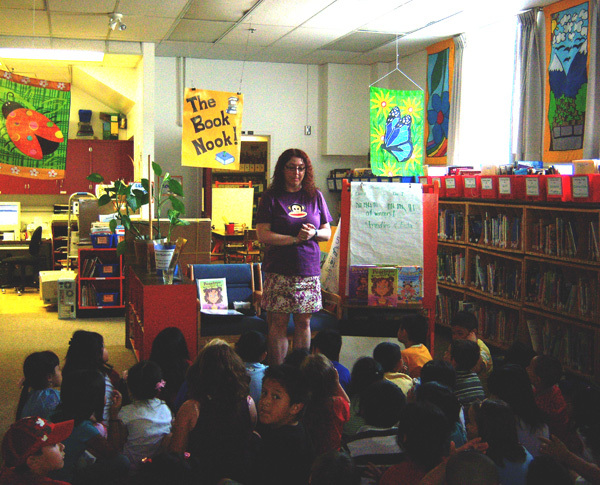 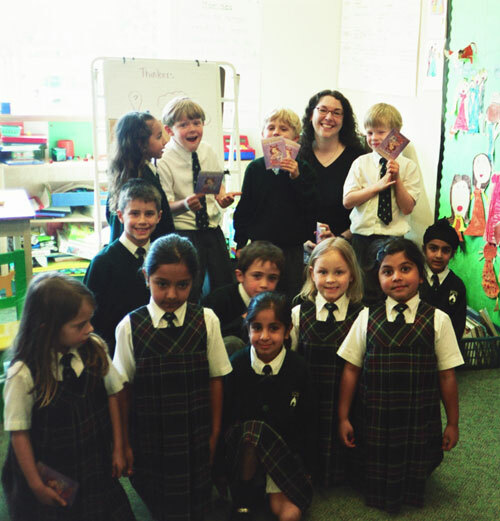 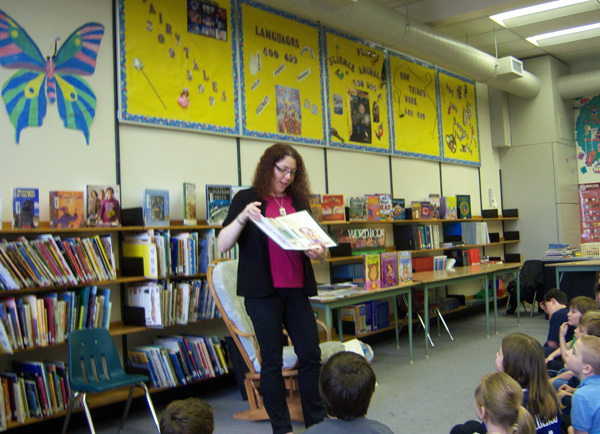 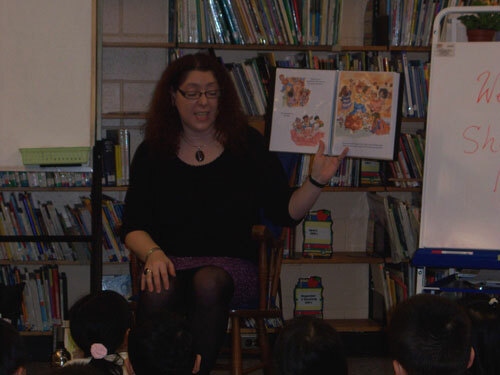 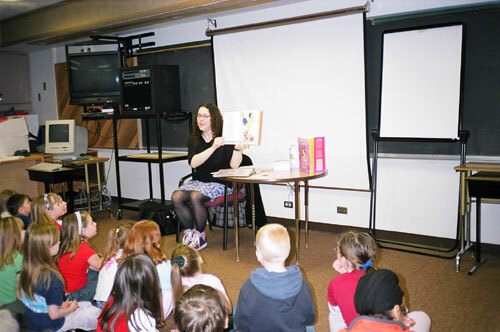 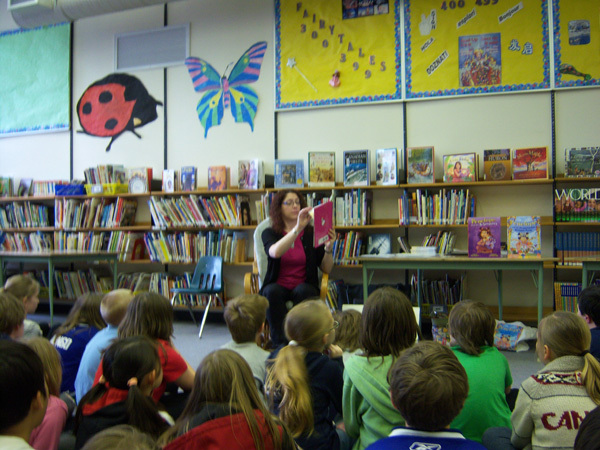 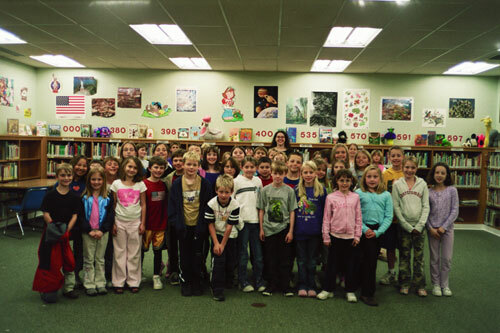 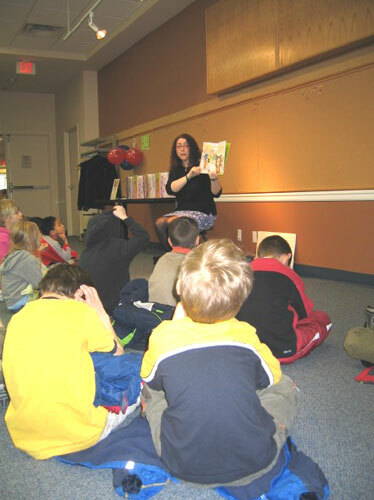 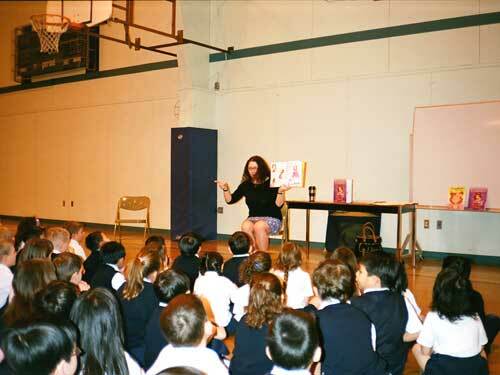 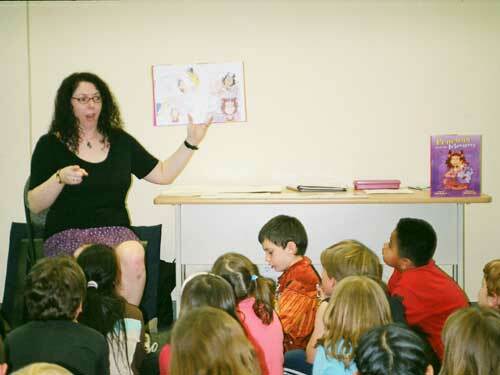 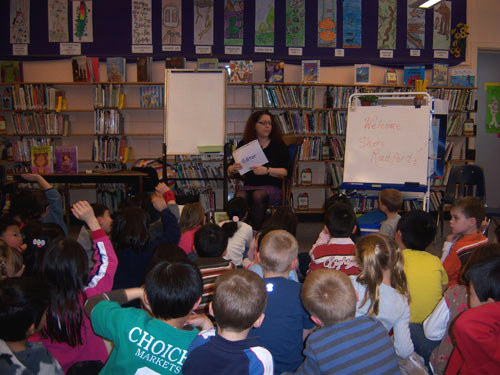 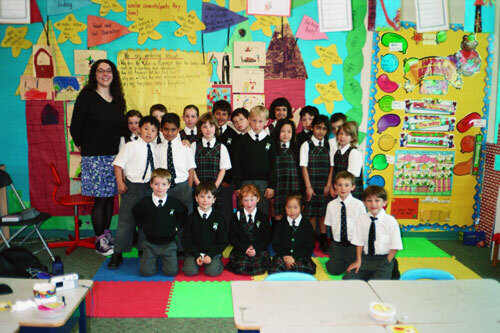 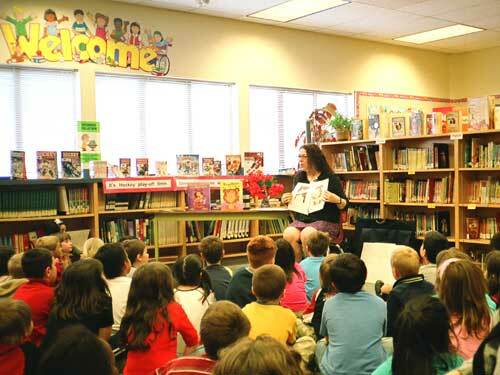 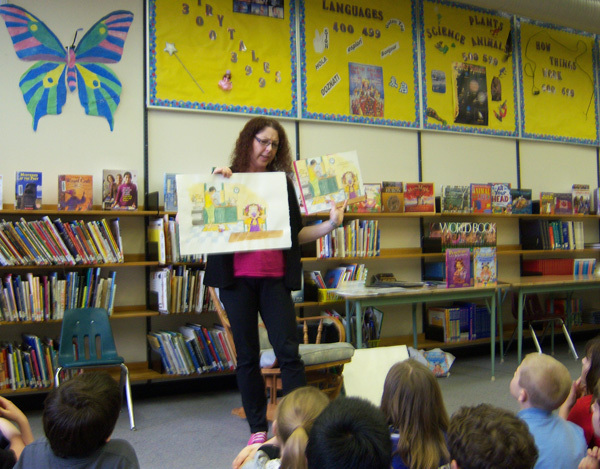 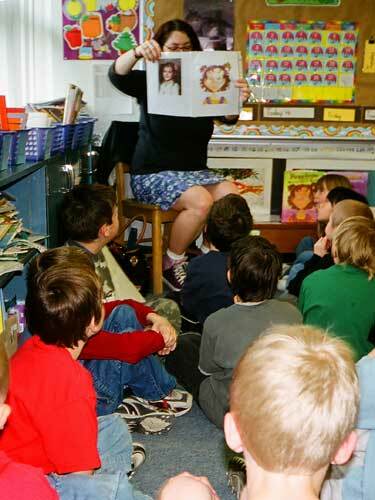 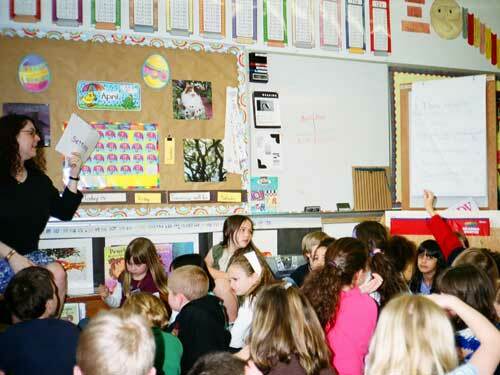 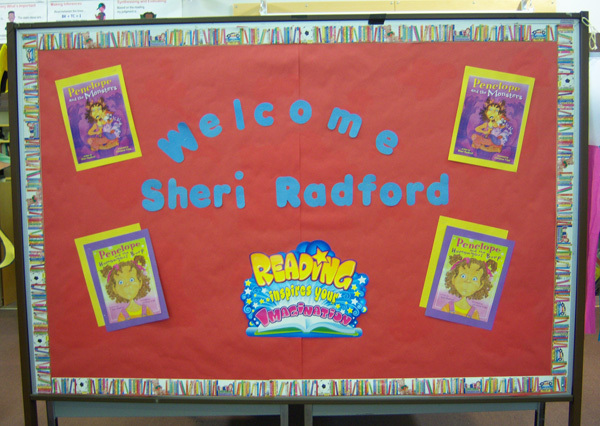 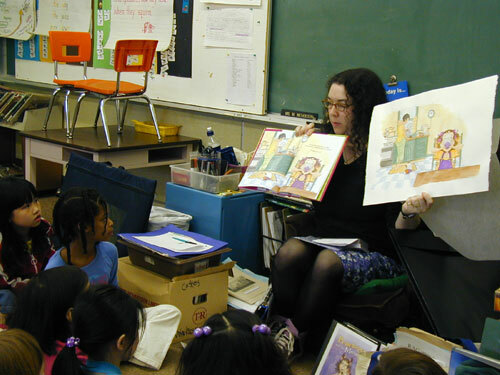 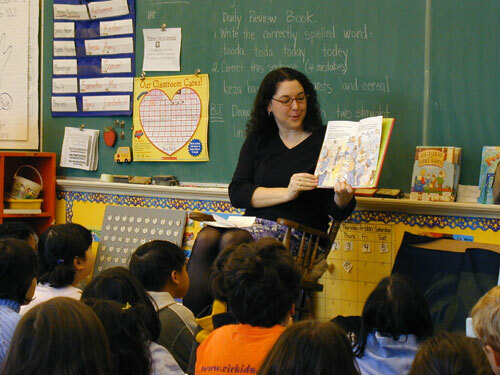 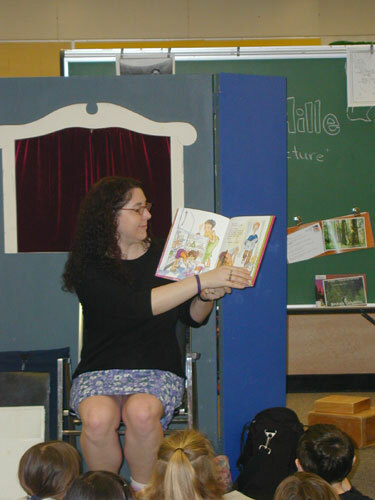 Illustrator Christine Tripp joined Sheri to read to three classes of grade one students. 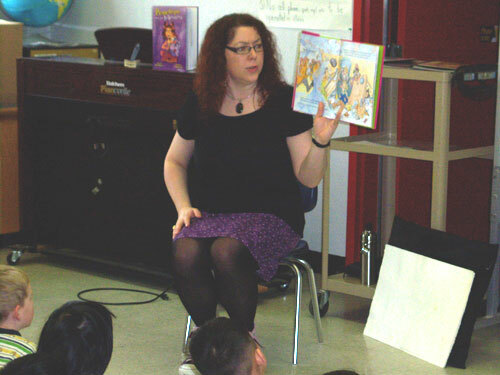 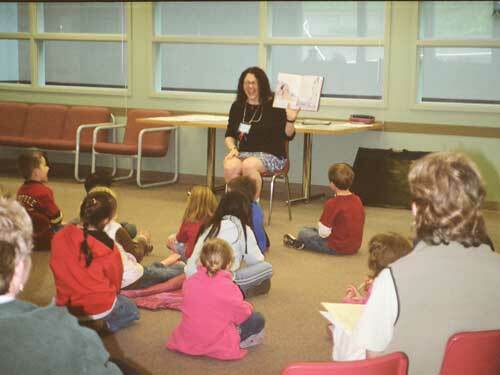 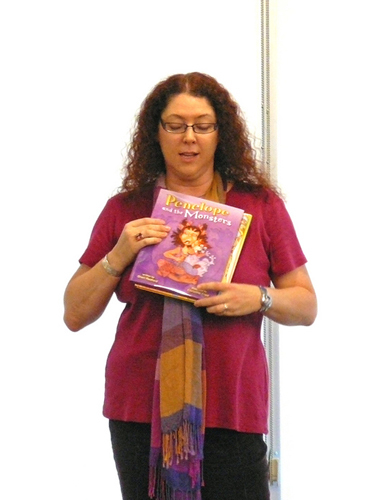 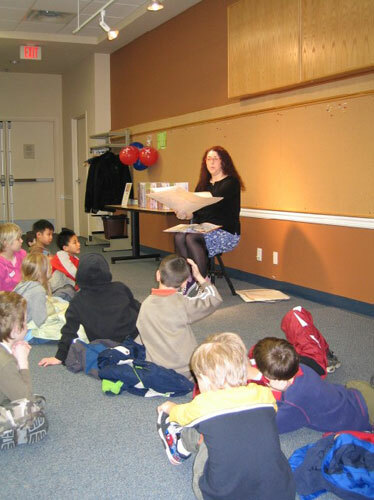 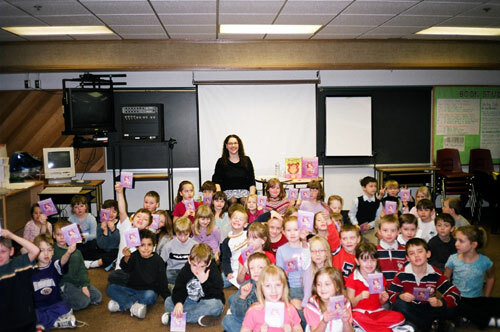 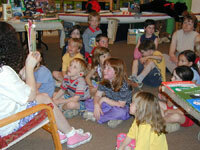 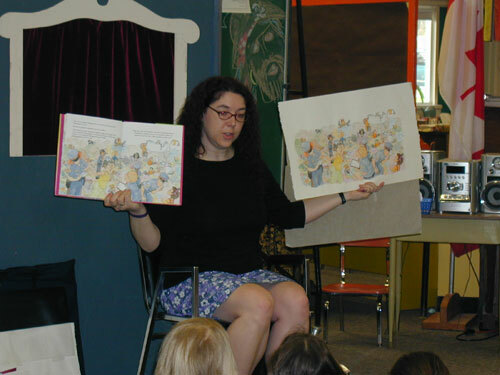 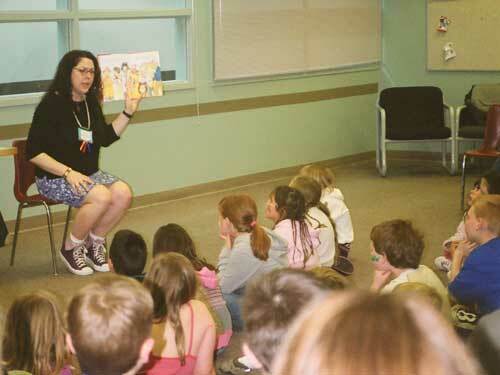 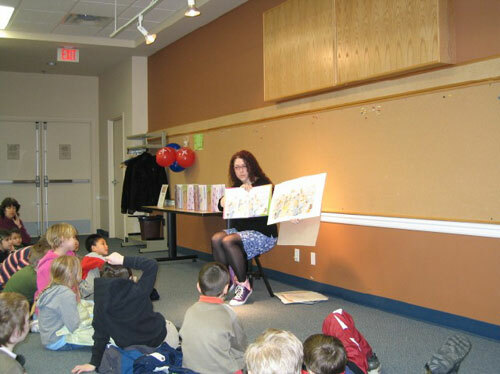 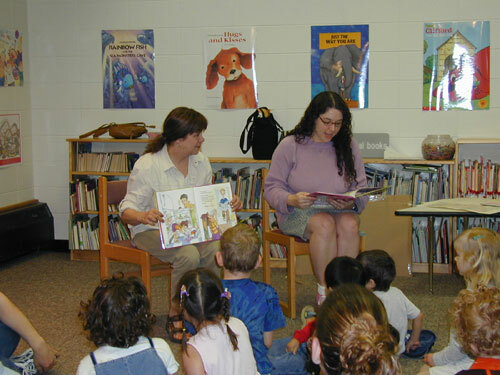 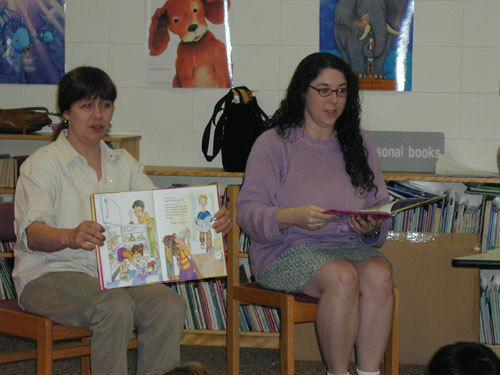 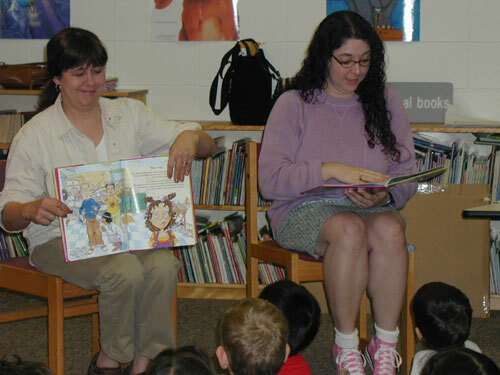 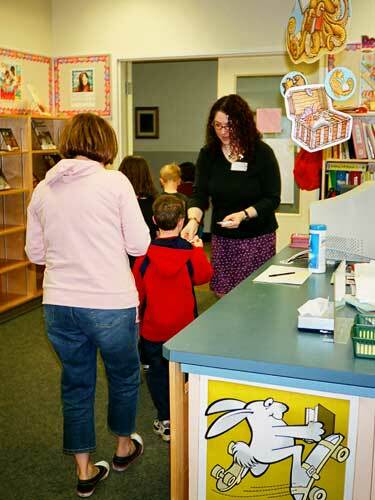 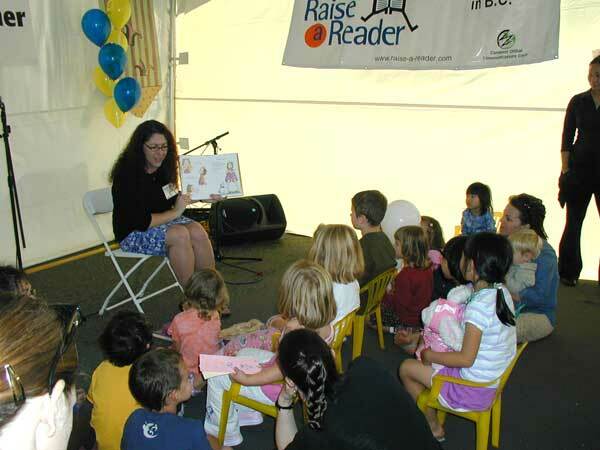 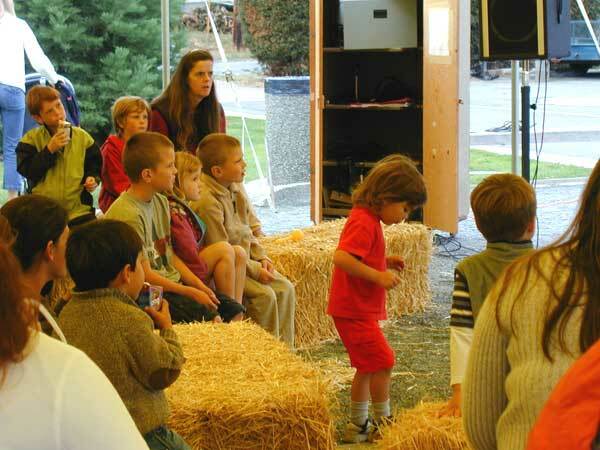 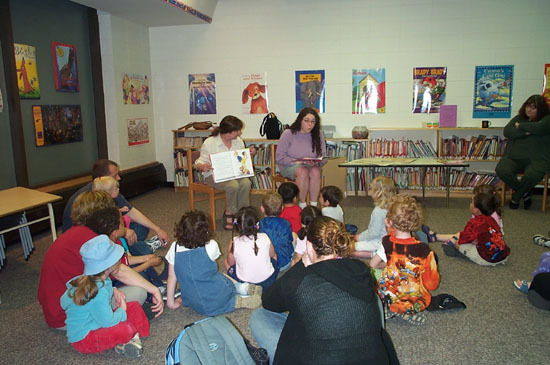 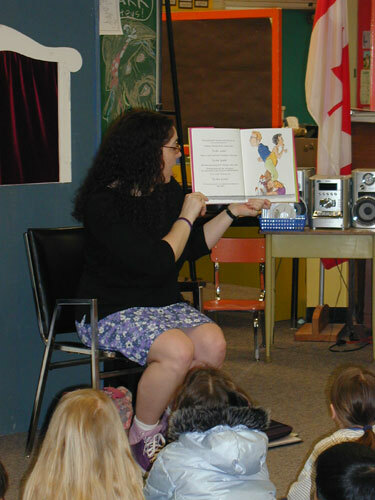 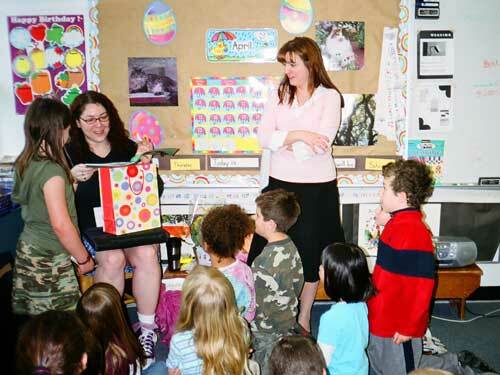 Illustrator Christine Tripp joined Sheri to read to a group of preschool children.